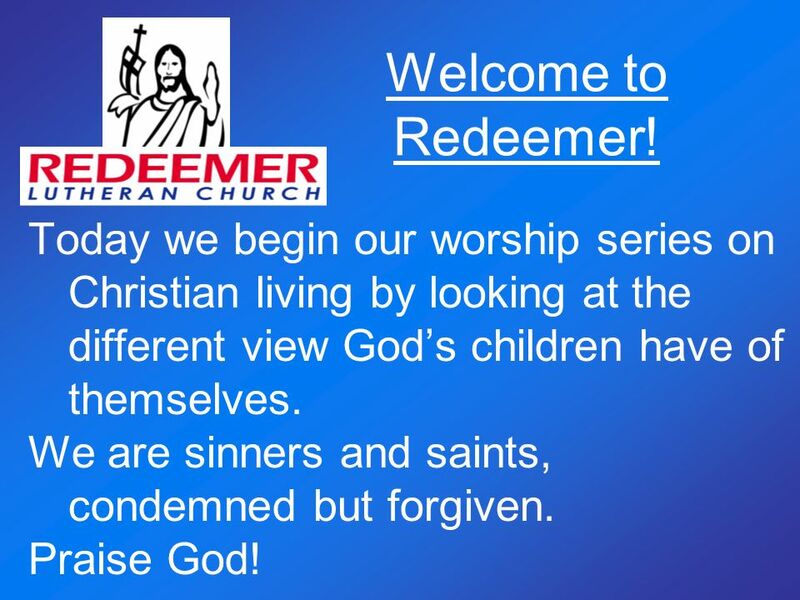 2 Welcome to Redeemer! 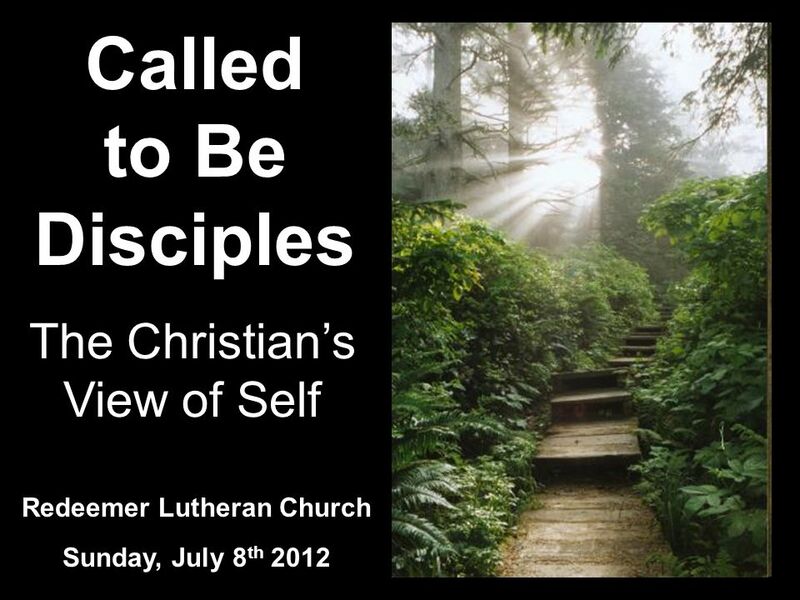 Today we begin our worship series on Christian living by looking at the different view God’s children have of themselves. We are sinners and saints, condemned but forgiven. Praise God! 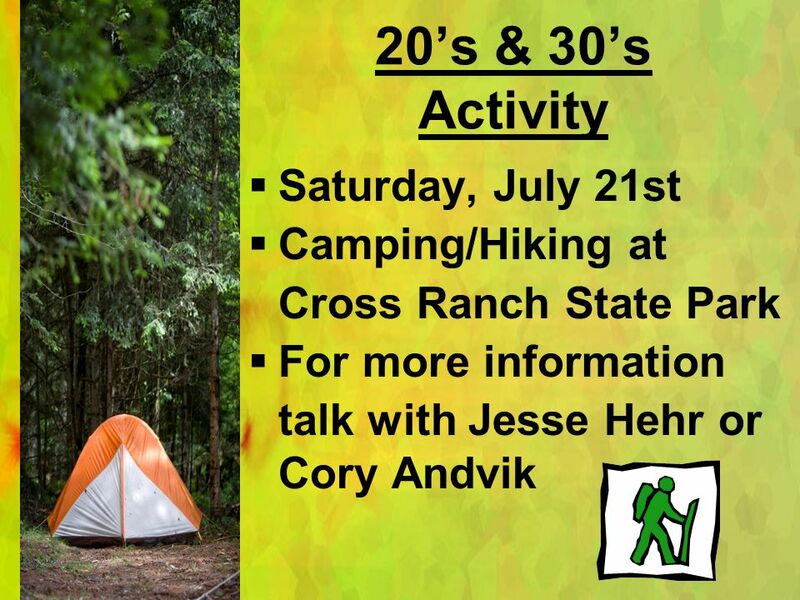 3 For Our Guests If you have questions, let us try to help. 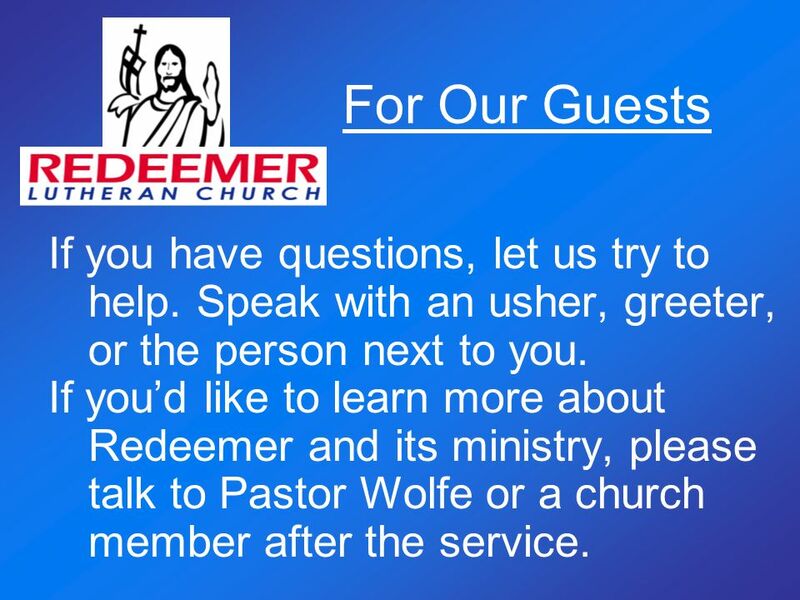 Speak with an usher, greeter, or the person next to you. 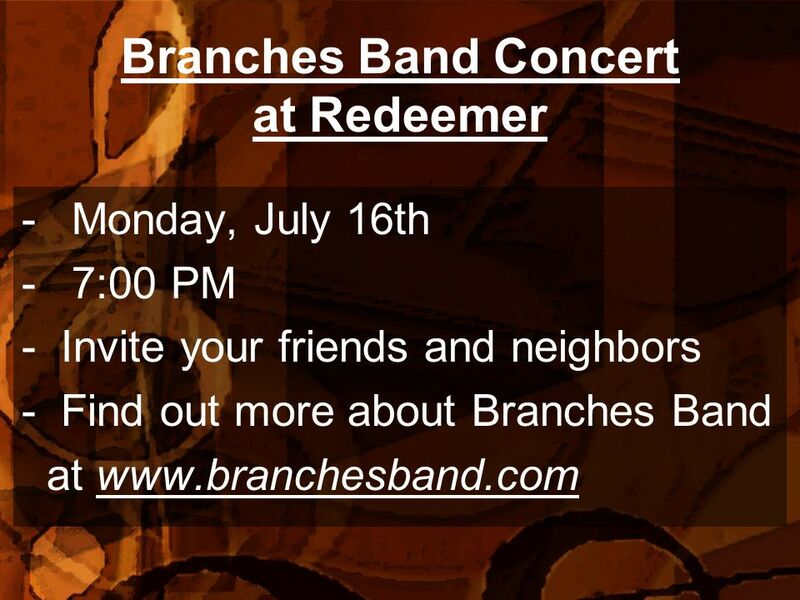 If you’d like to learn more about Redeemer and its ministry, please talk to Pastor Wolfe or a church member after the service. 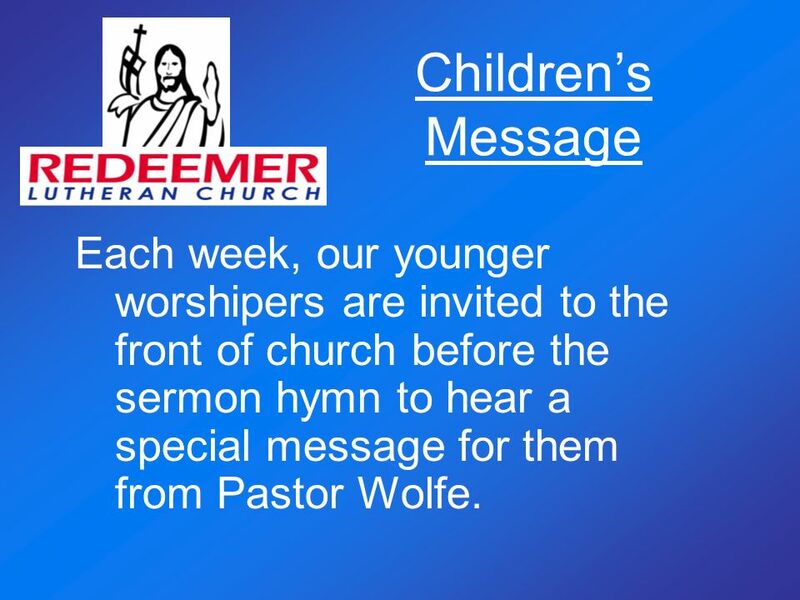 4 Children’s Message Each week, our younger worshipers are invited to the front of church before the sermon hymn to hear a special message for them from Pastor Wolfe. 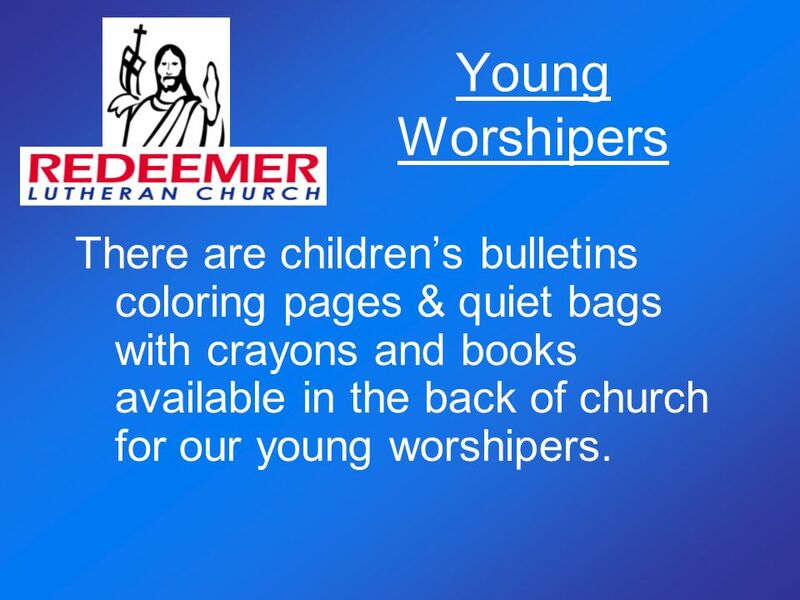 5 Young Worshipers There are children’s bulletins coloring pages & quiet bags with crayons and books available in the back of church for our young worshipers. 6 Need to Know what’s going on? 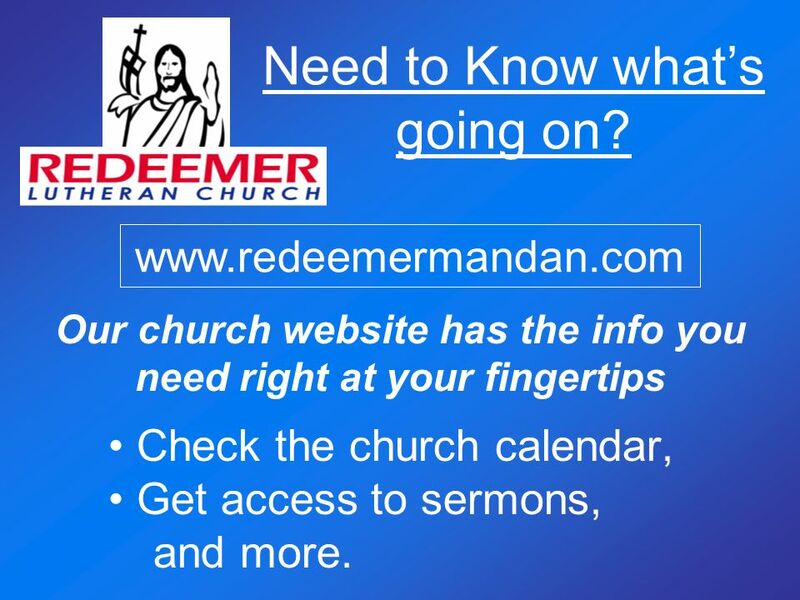 Our church website has the info you need right at your fingertips Check the church calendar, Get access to sermons, and more. 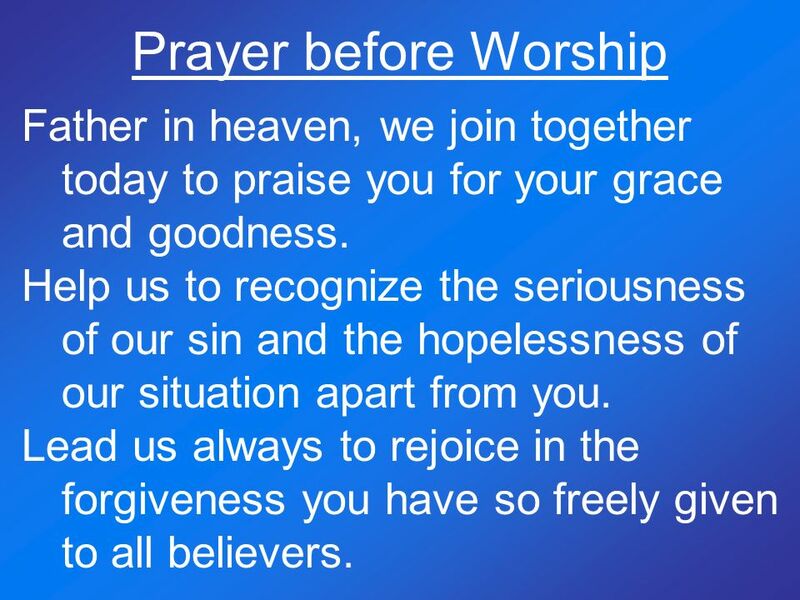 7 Prayer before Worship Father in heaven, we join together today to praise you for your grace and goodness. Help us to recognize the seriousness of our sin and the hopelessness of our situation apart from you. Lead us always to rejoice in the forgiveness you have so freely given to all believers. 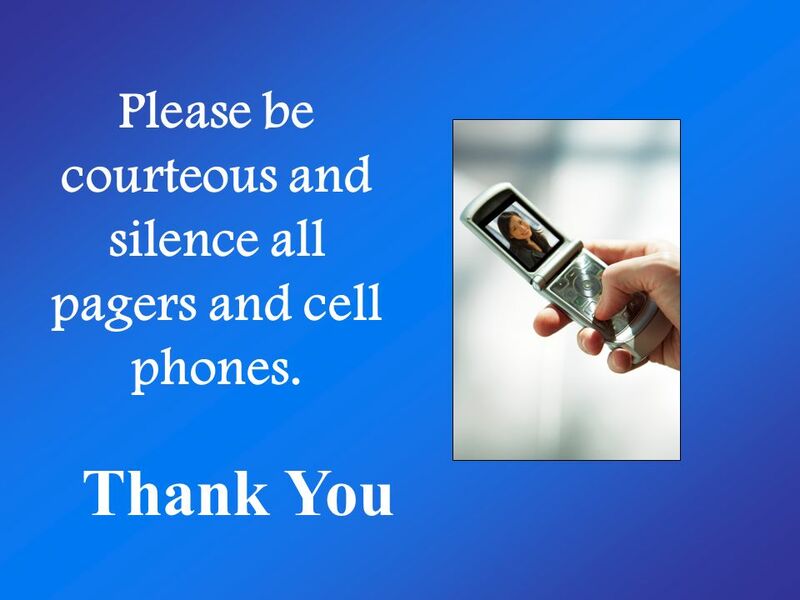 8 Please be courteous and silence all pagers and cell phones. 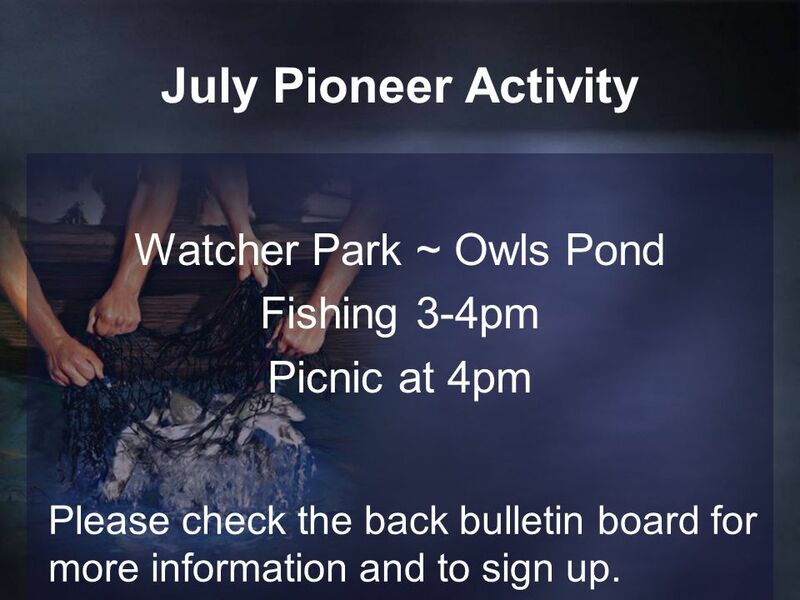 July Pioneer Activity Watcher Park ~ Owls Pond Fishing 3-4pm Picnic at 4pm Please check the back bulletin board for more information and to sign up. 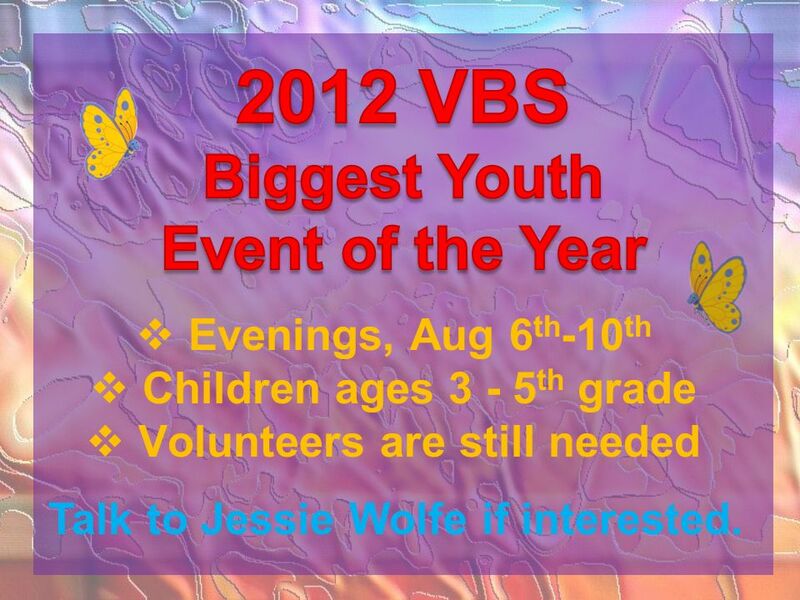 2012 VBS Biggest Youth Event of the Year Evenings, Aug 6th-10th Children ages 3 - 5th grade Volunteers are still needed Talk to Jessie Wolfe if interested. 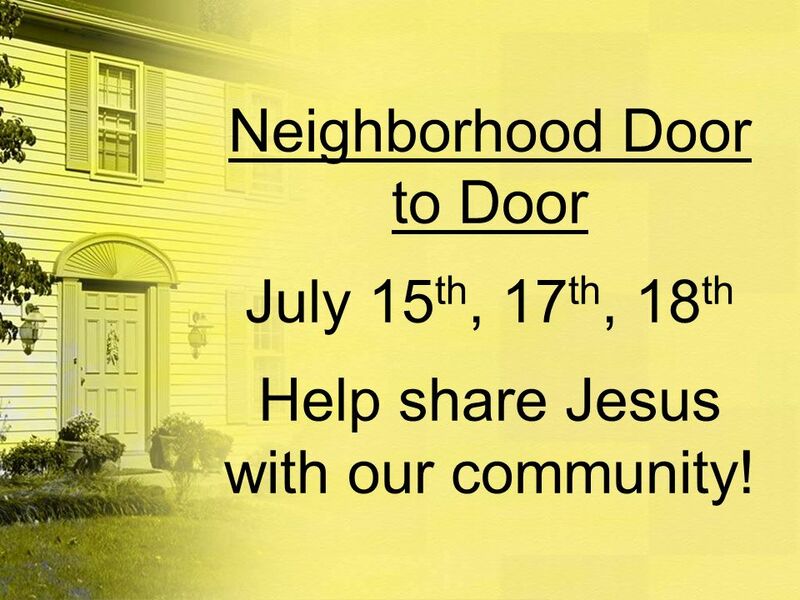 Help share Jesus with our community! 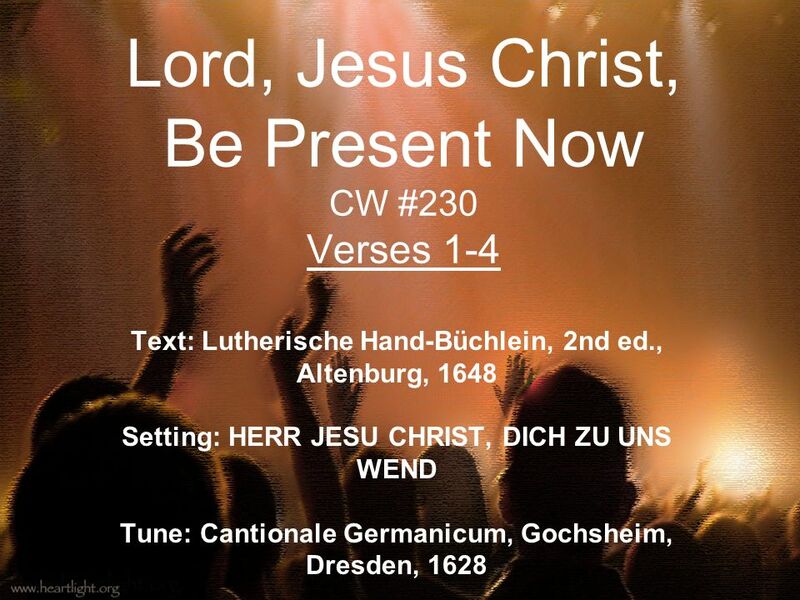 18 Verse 1: Lord Jesus Christ, be present now; Our hearts in true devotion bow. Your Spirit send with grace divine, And let your truth within us shine. 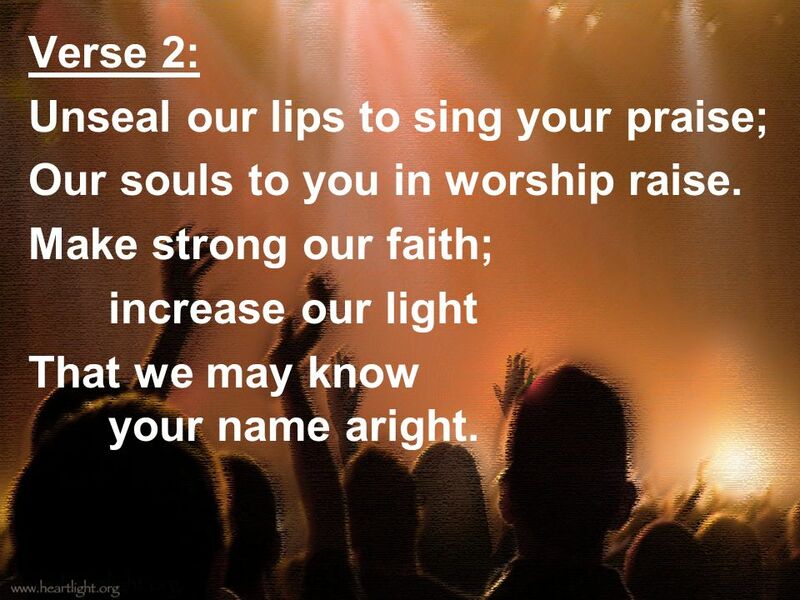 19 Verse 2: Unseal our lips to sing your praise; Our souls to you in worship raise. Make strong our faith; increase our light That we may know your name aright. 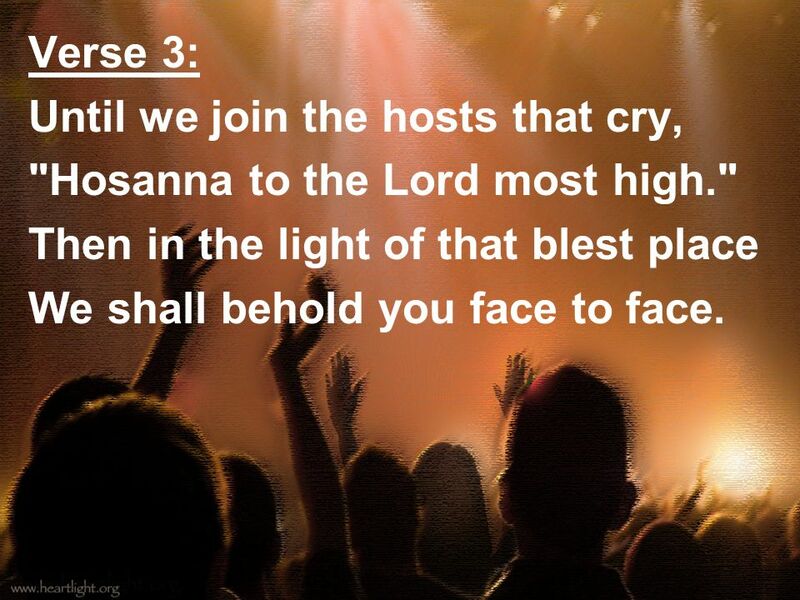 20 Verse 3: Until we join the hosts that cry, "Hosanna to the Lord most high." Then in the light of that blest place We shall behold you face to face. 21 Verse 4: Glory to God the Father, Son, And Holy Spirit, Three in One! 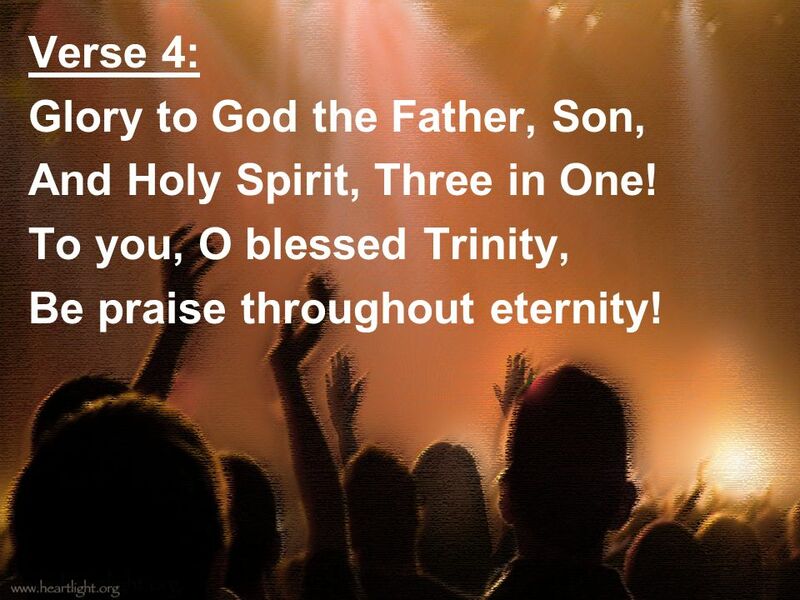 To you, O blessed Trinity, Be praise throughout eternity! 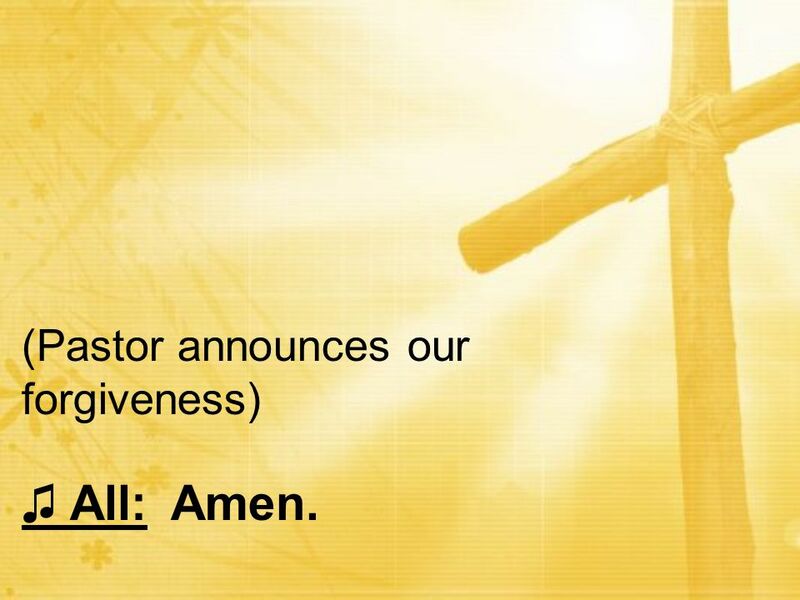 In the name of the Father and of the Son and of the Holy Spirit ♫ All: Amen. 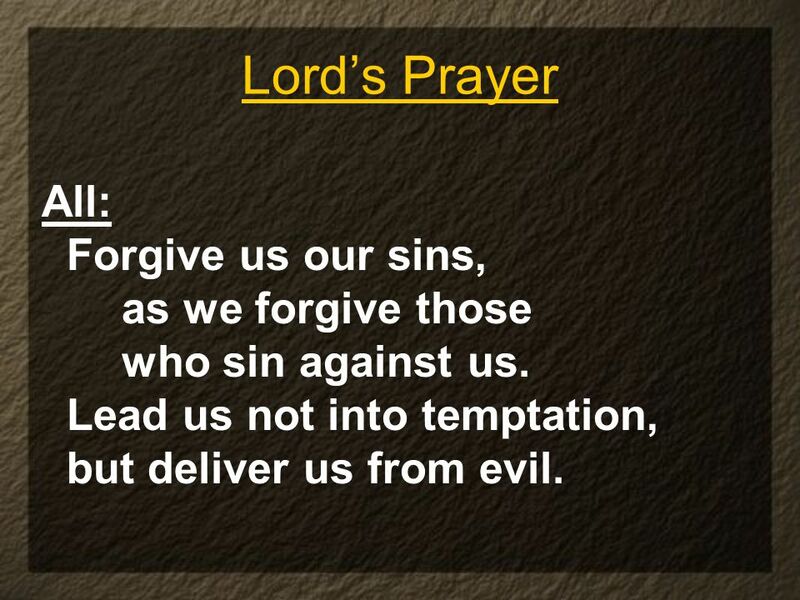 23 Confession of Sin Pastor:	Beloved in the Lord: let us draw near with a true heart and confess our sins to God our Father, asking him in the name of our Lord Jesus Christ to grant us forgiveness. 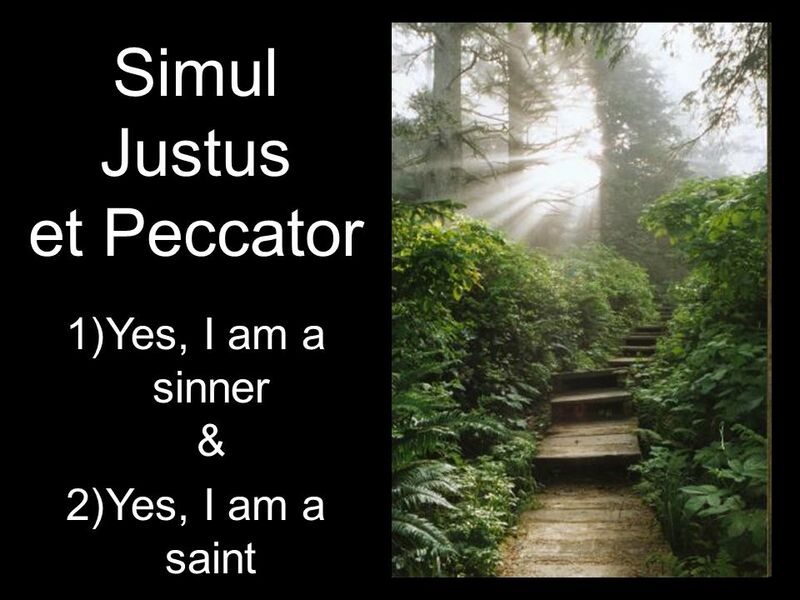 confess that I am by nature sinful and that I have disobeyed you in my thoughts, words and actions. I have done what is evil and failed to do what is good. For this I deserve your punishment both now and in eternity. 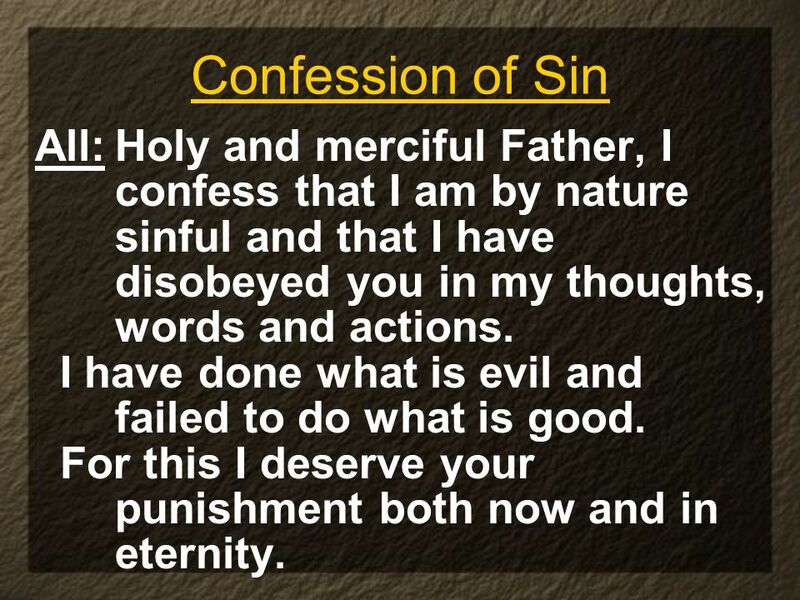 25 Confession of Sin All:	But I am truly sorry for my sins, and trusting in my Savior Jesus Christ I pray: Lord, have mercy on me, a sinner. 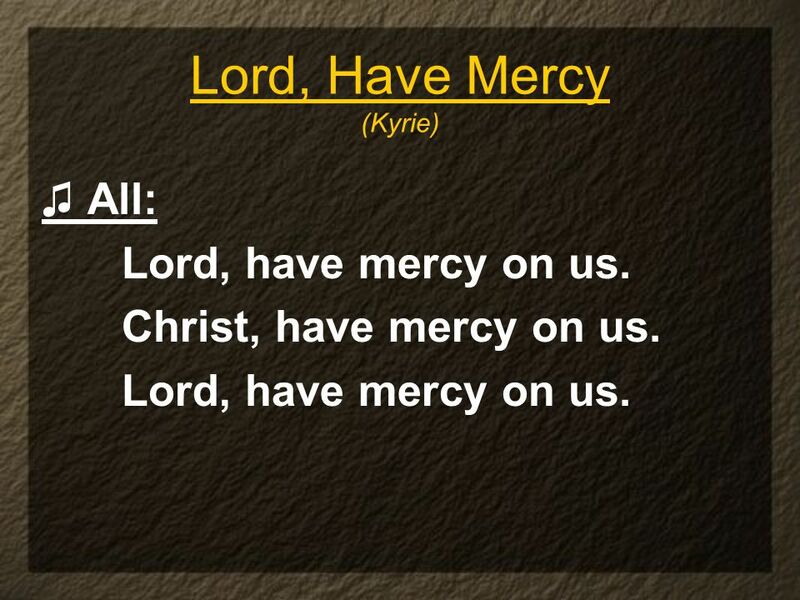 ♫ All: Lord, have mercy on us. Christ, have mercy on us. 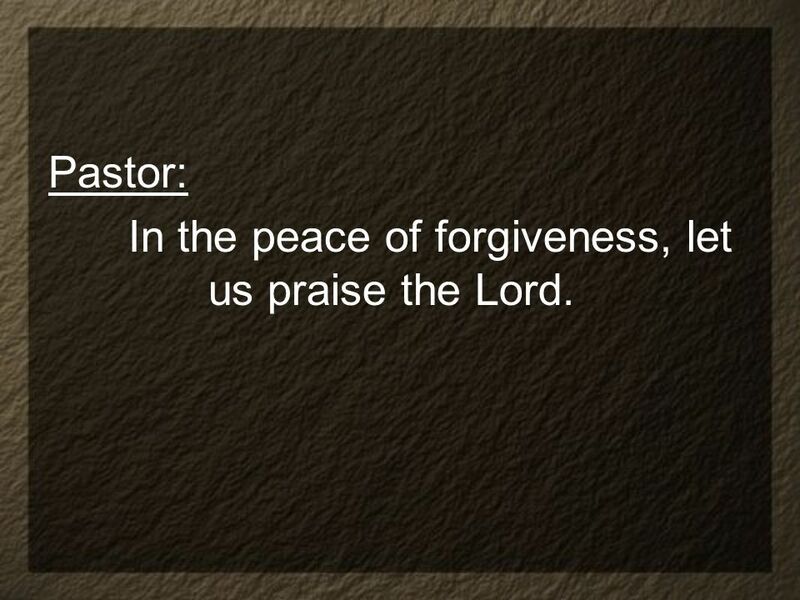 28 Pastor: In the peace of forgiveness, let us praise the Lord. 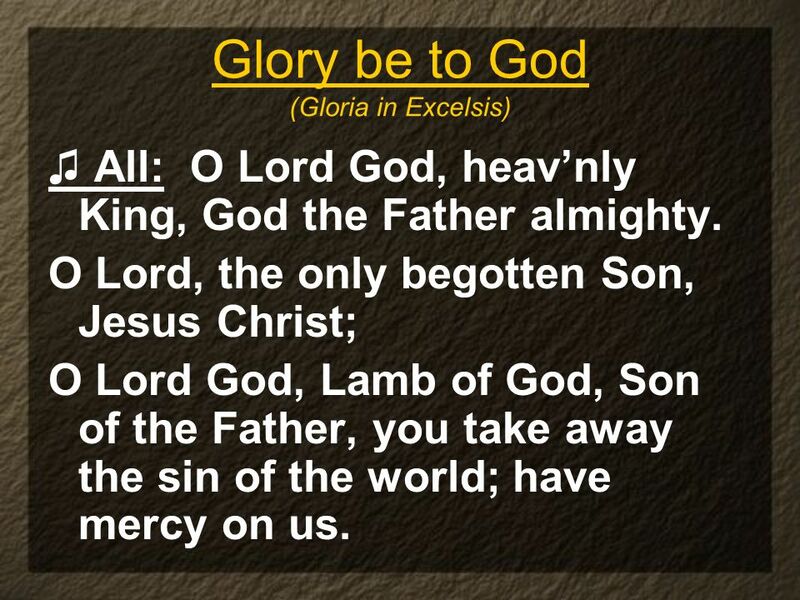 ♫ All: O Lord God, heav’nly King, God the Father almighty. O Lord, the only begotten Son, Jesus Christ; O Lord God, Lamb of God, Son of the Father, you take away the sin of the world; have mercy on us. 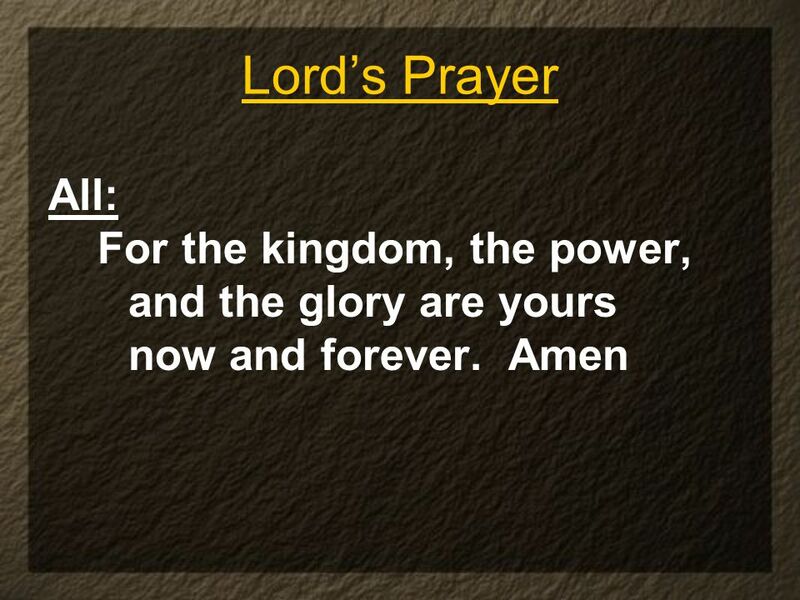 ♫ All: You take away the sin of the world; receive our prayer. 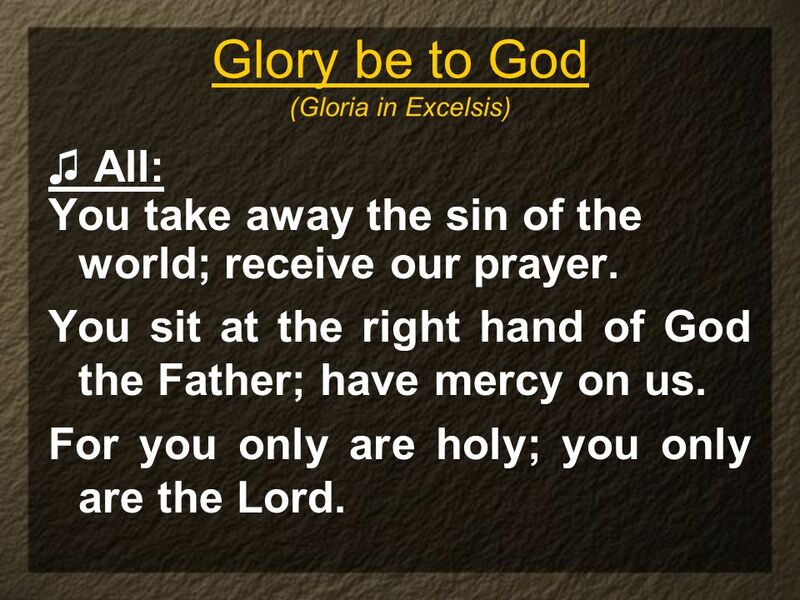 You sit at the right hand of God the Father; have mercy on us. For you only are holy; you only are the Lord. 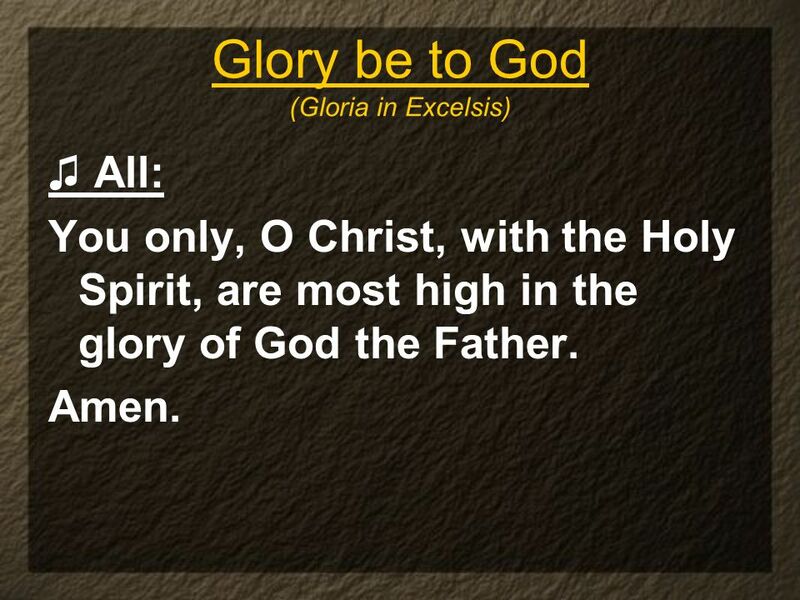 ♫ All: You only, O Christ, with the Holy Spirit, are most high in the glory of God the Father. Amen. Pastor: The Lord be with you. 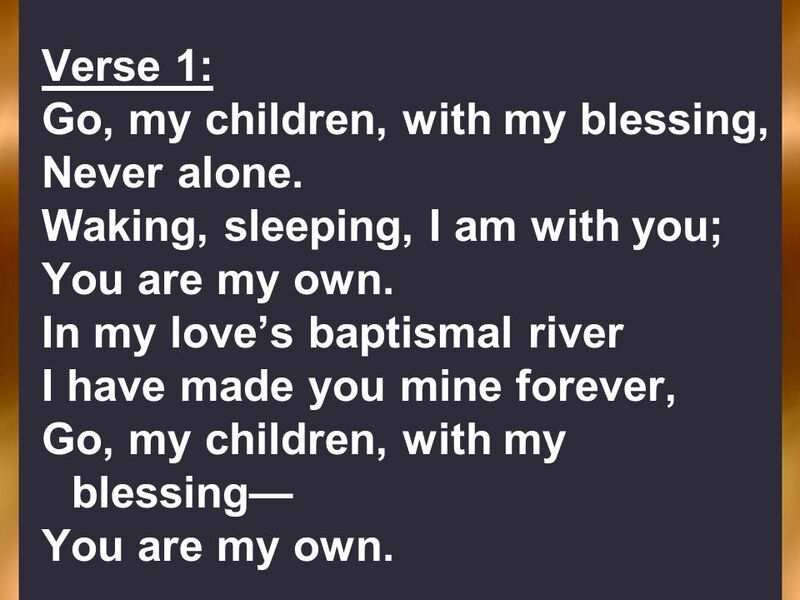 ♫ All: And also with you. 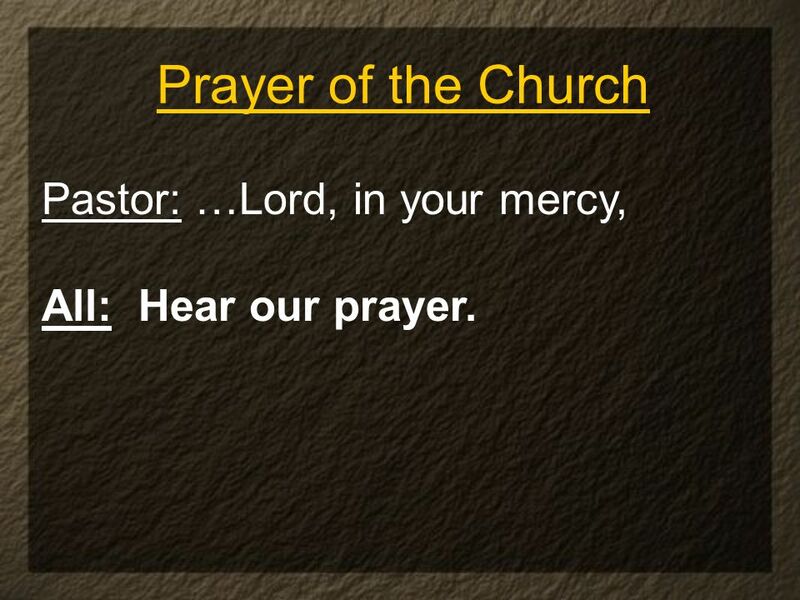 Pastor: Let us pray. 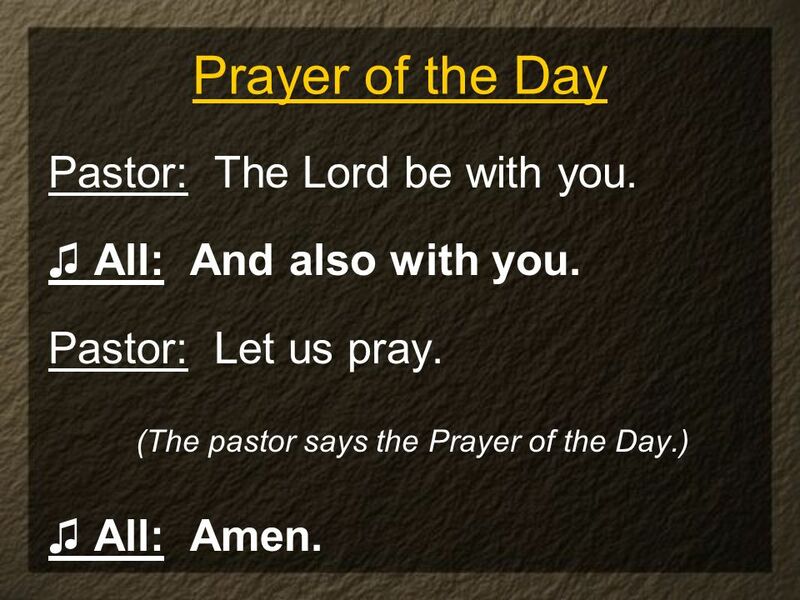 (The pastor says the Prayer of the Day.) ♫ All: Amen. 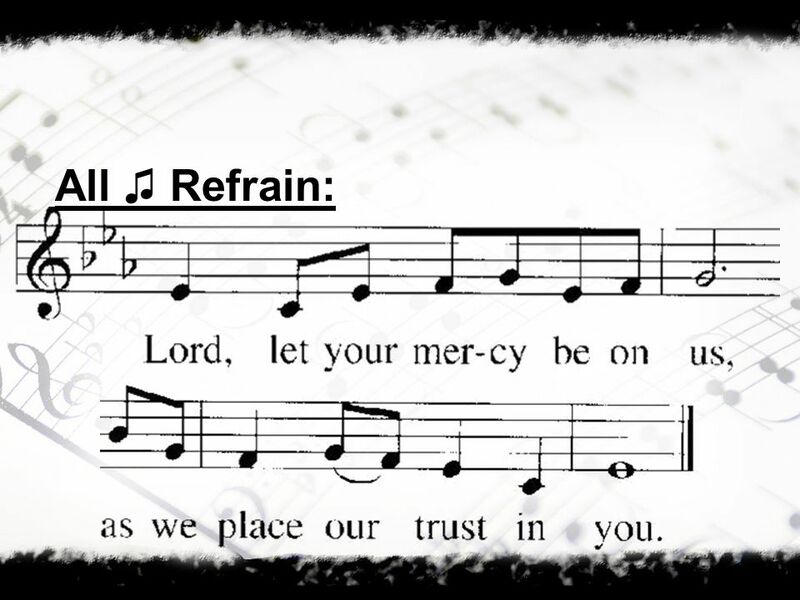 ♫ All: in your faithfulness and righteousness come to my relief. 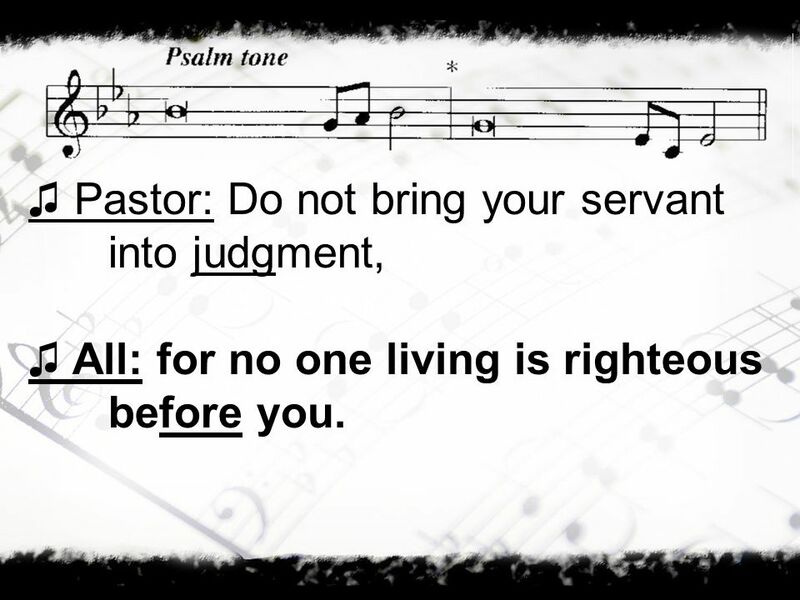 ♫ All: for no one living is righteous before you. 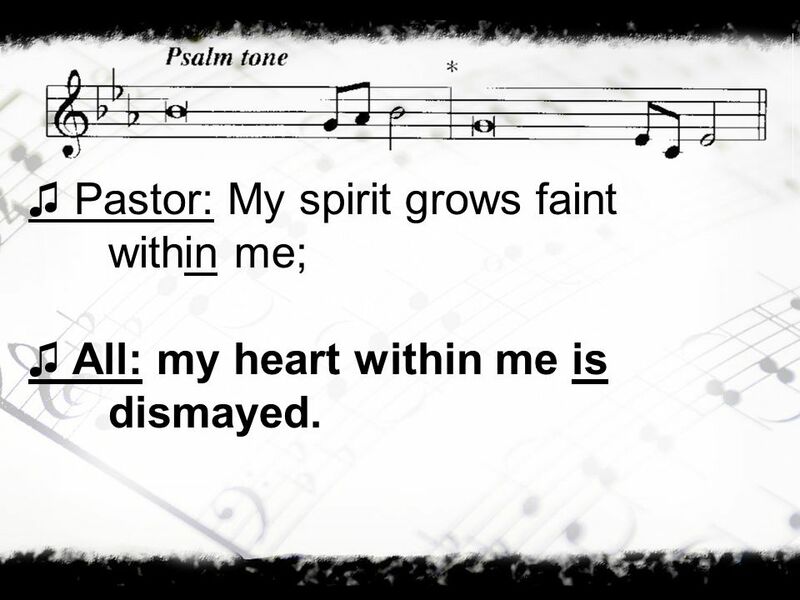 ♫ All: my heart within me is dismayed. 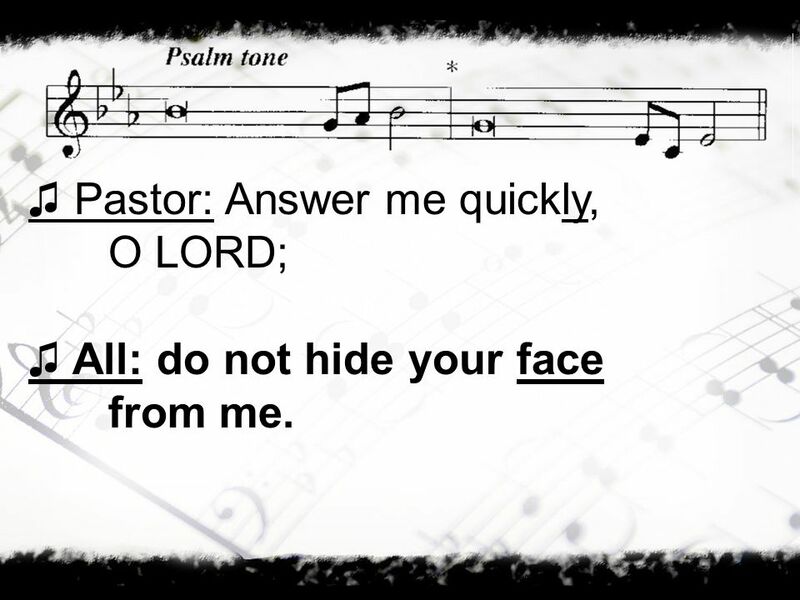 ♫ All: do not hide your face from me. 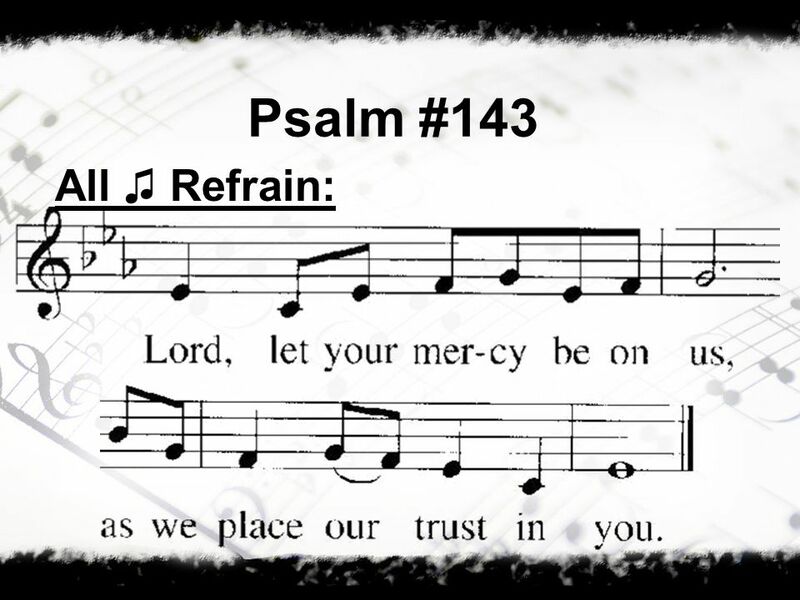 ♫ All: for I have put my trust in you. 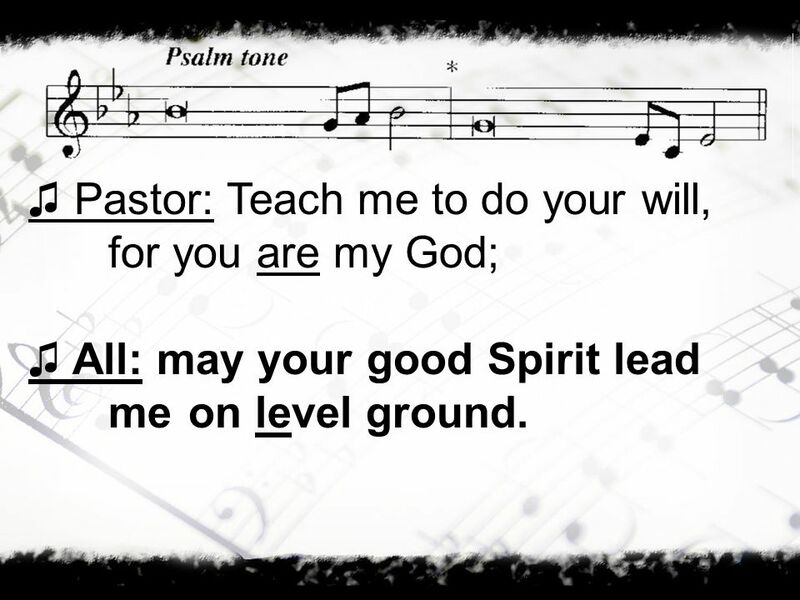 ♫ All: may your good Spirit lead me on level ground. 43 All ♫: Glory be to the Father and to the Son and to the Holy Spirit, as it was in the beginning, is now, and will be forever. Amen. 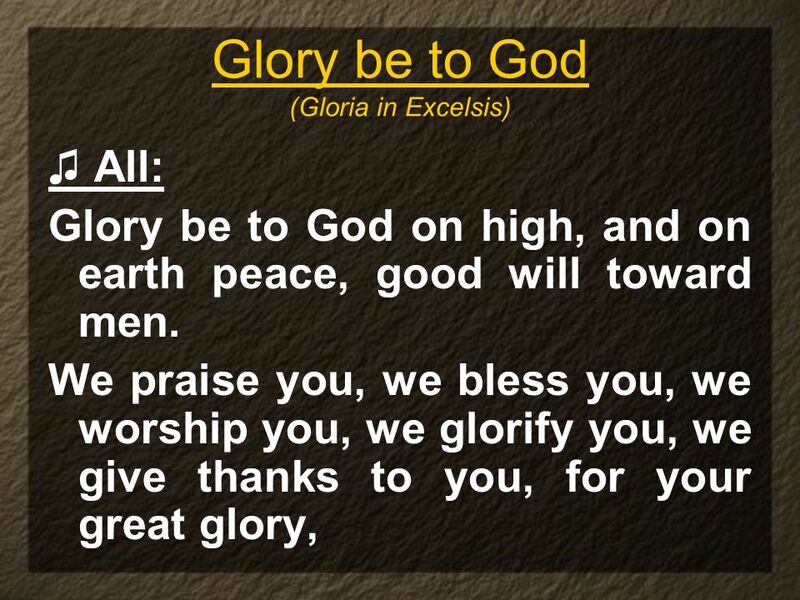 ♫ All: Glory be to you, O Lord! 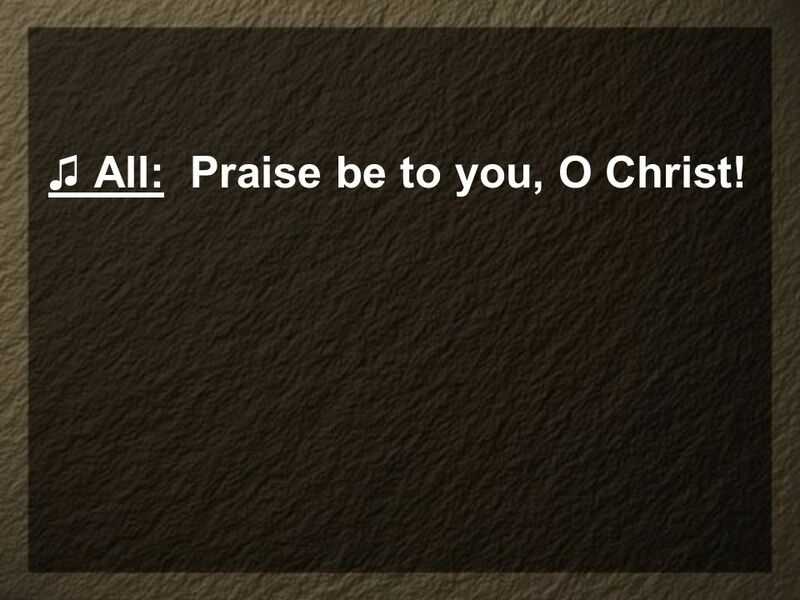 48 ♫ All: Praise be to you, O Christ! 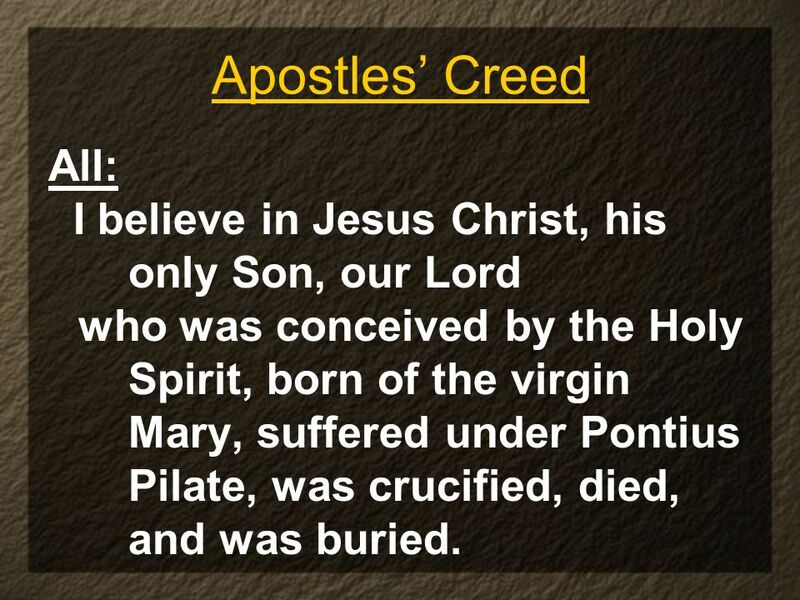 51 Apostles’ Creed All: He descended into hell. The third day he rose again from the dead. 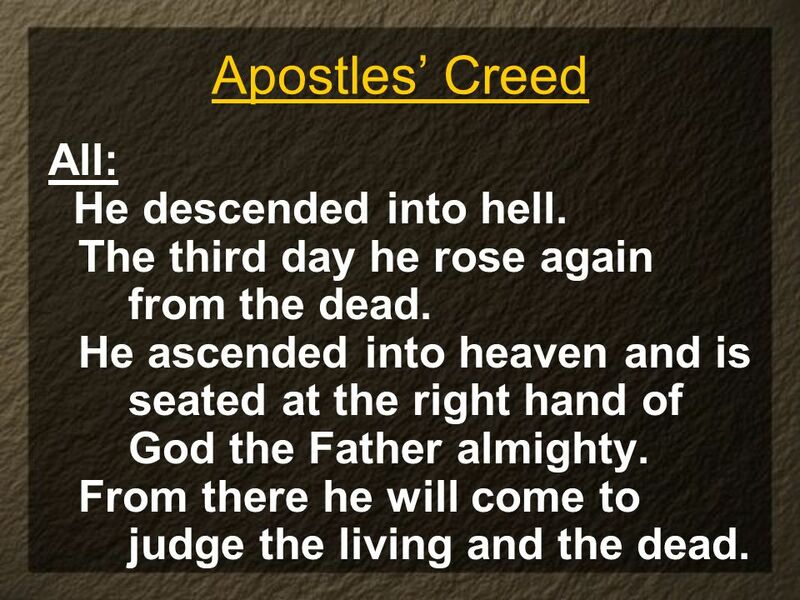 He ascended into heaven and is seated at the right hand of God the Father almighty. From there he will come to judge the living and the dead. the holy Christian Church. 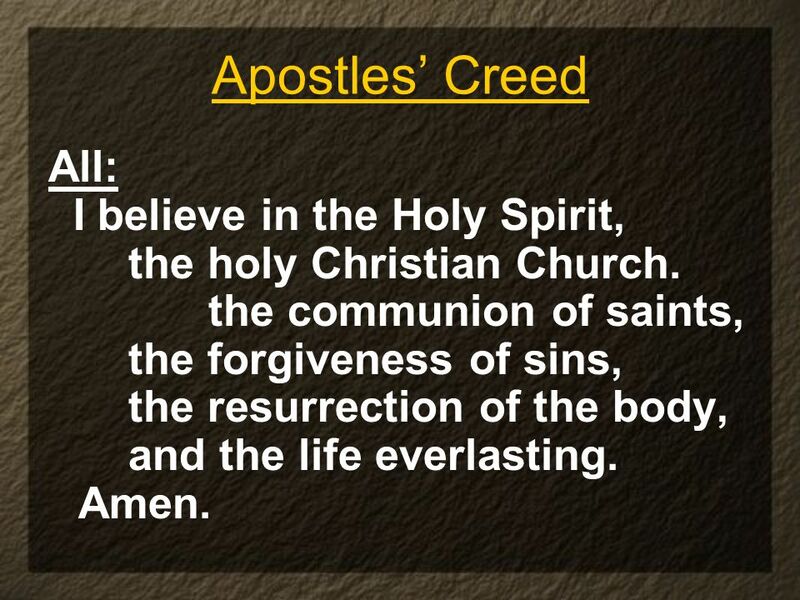 the communion of saints, the forgiveness of sins, the resurrection of the body, and the life everlasting. Amen. 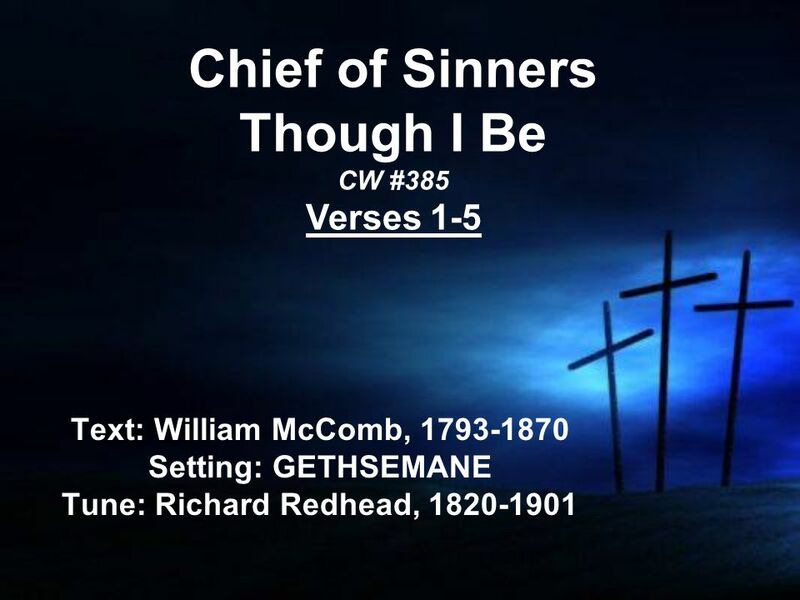 55 Verse 1: Chief of sinners though I be, Jesus shed his blood for me, Died that I might live on high, Lives that I might never die. 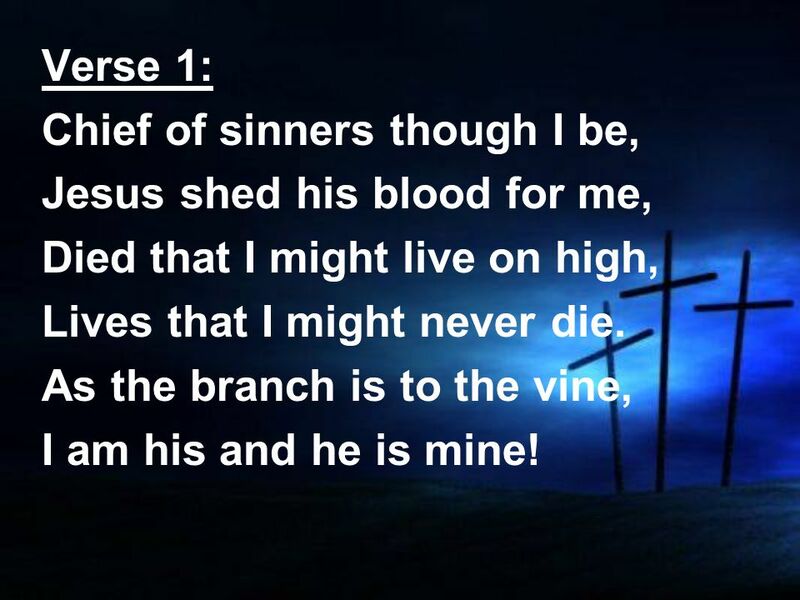 As the branch is to the vine, I am his and he is mine! 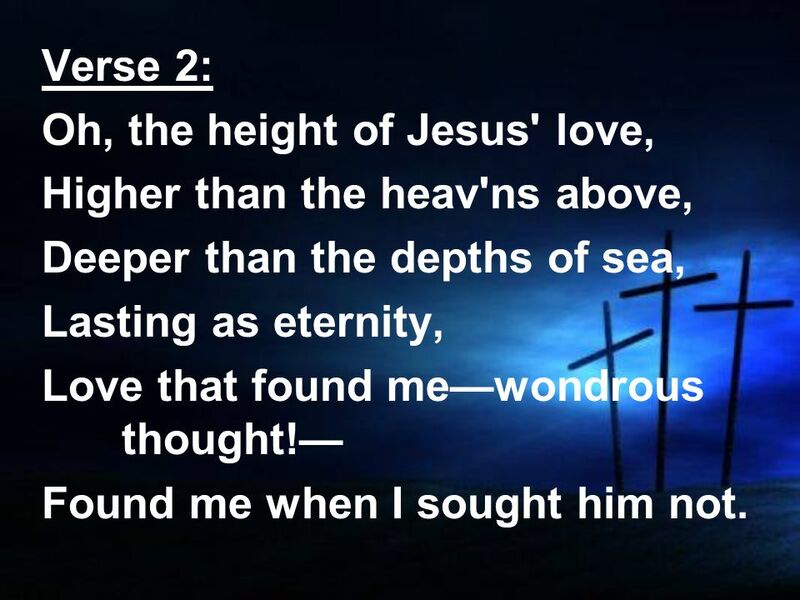 56 Verse 2: Oh, the height of Jesus' love, Higher than the heav'ns above, Deeper than the depths of sea, Lasting as eternity, Love that found me—wondrous thought!— Found me when I sought him not. 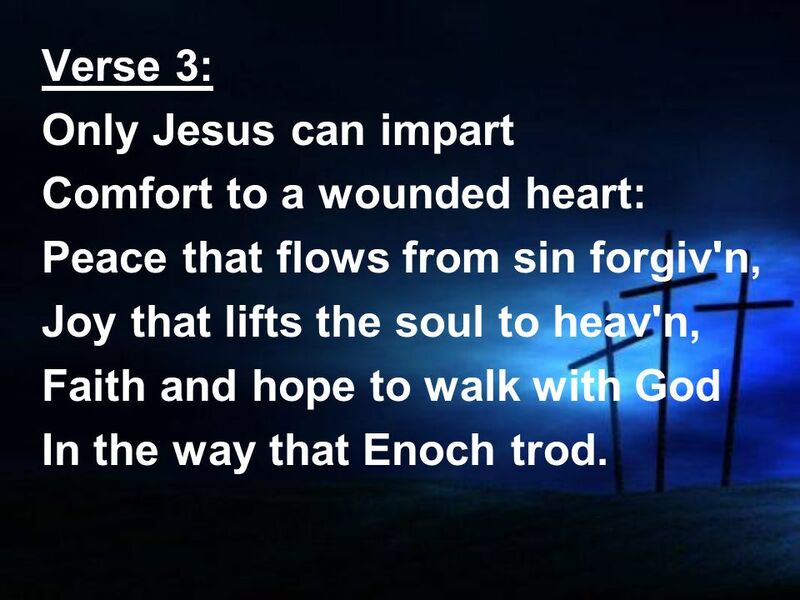 57 Verse 3: Only Jesus can impart Comfort to a wounded heart: Peace that flows from sin forgiv'n, Joy that lifts the soul to heav'n, Faith and hope to walk with God In the way that Enoch trod. 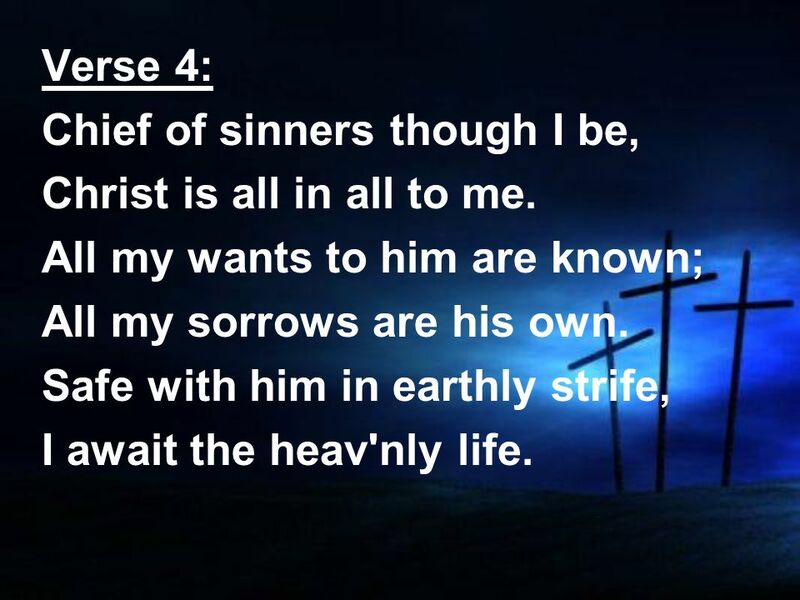 58 Verse 4: Chief of sinners though I be, Christ is all in all to me. All my wants to him are known; All my sorrows are his own. Safe with him in earthly strife, I await the heav'nly life. 59 Verse 5: Strengthen me, O gracious Lord, By your Spirit and your word. 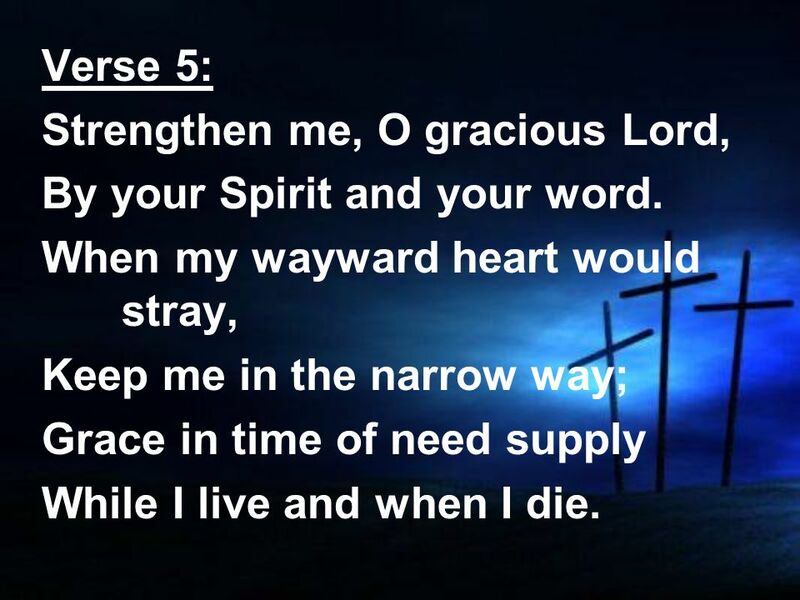 When my wayward heart would stray, Keep me in the narrow way; Grace in time of need supply While I live and when I die. 61 Create in Me ♫ All: Create in me a clean heart, O God, and renew a right spirit within me. Cast me not away from your presence, and take not your Holy Spirit from me. Restore unto me the joy of your salvation, and uphold me with your free Spirit. Amen. 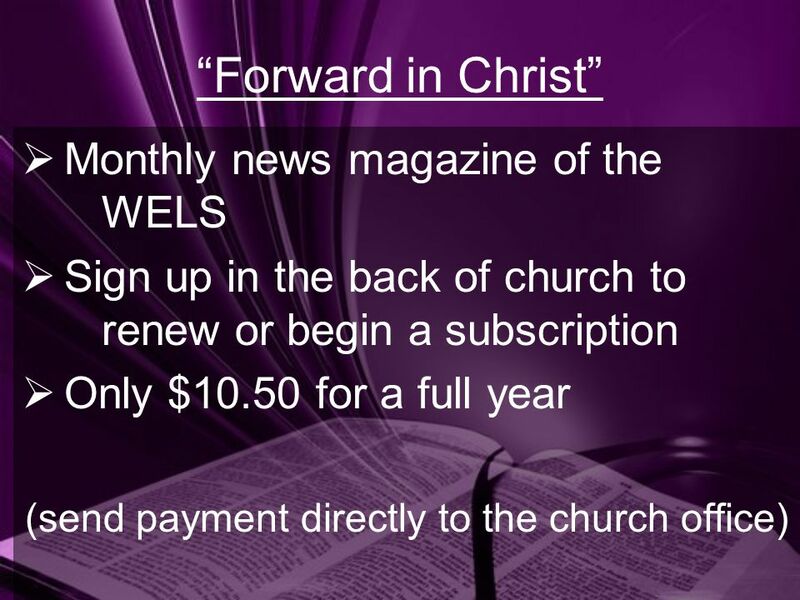 62 In thankfulness for our salvation, we support God’s work with our offerings. your kingdom come, your will be done on earth as in heaven. 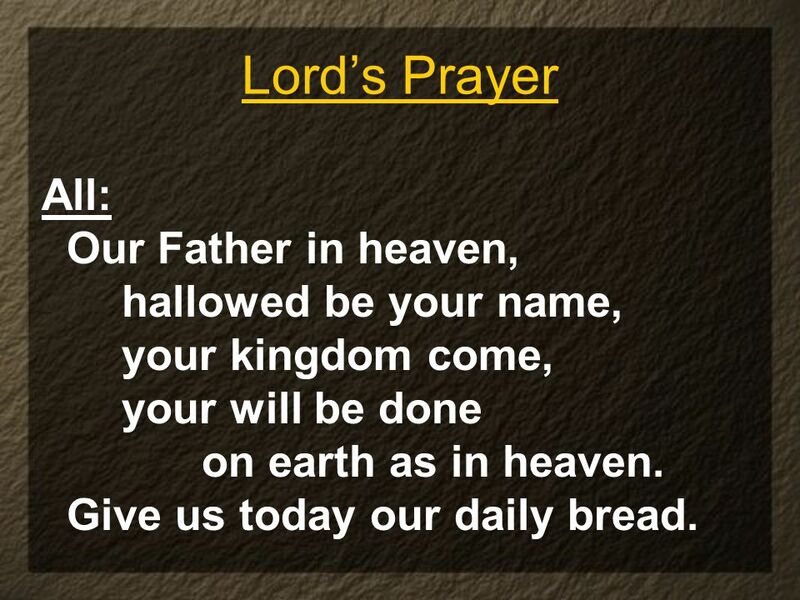 Give us today our daily bread. who sin against us. Lead us not into temptation, but deliver us from evil. 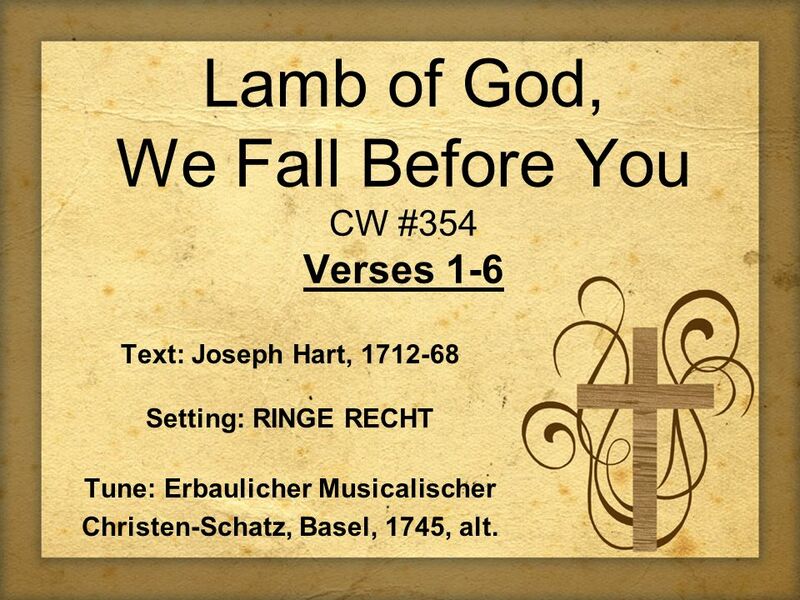 Text: Joseph Hart, Setting: RINGE RECHT Tune: Erbaulicher Musicalischer Christen-Schatz, Basel, 1745, alt. 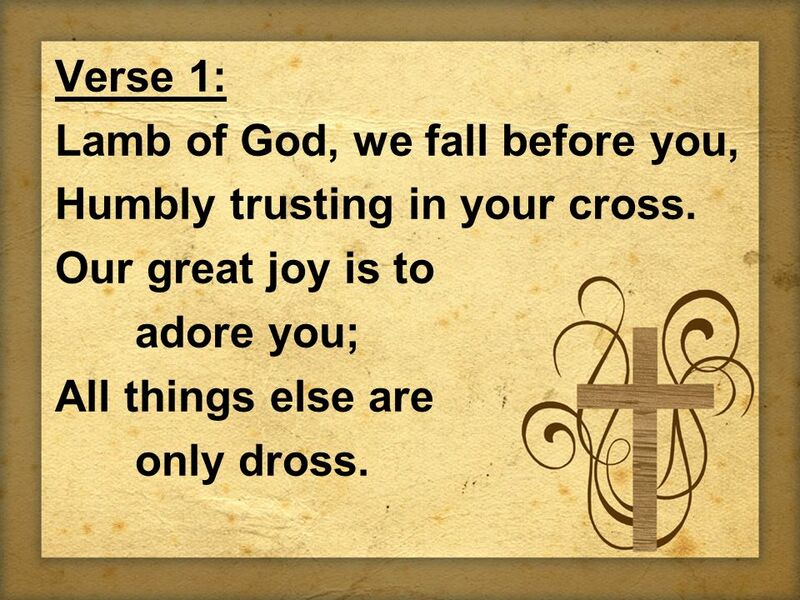 68 Verse 1: Lamb of God, we fall before you, Humbly trusting in your cross. Our great joy is to adore you; All things else are only dross. 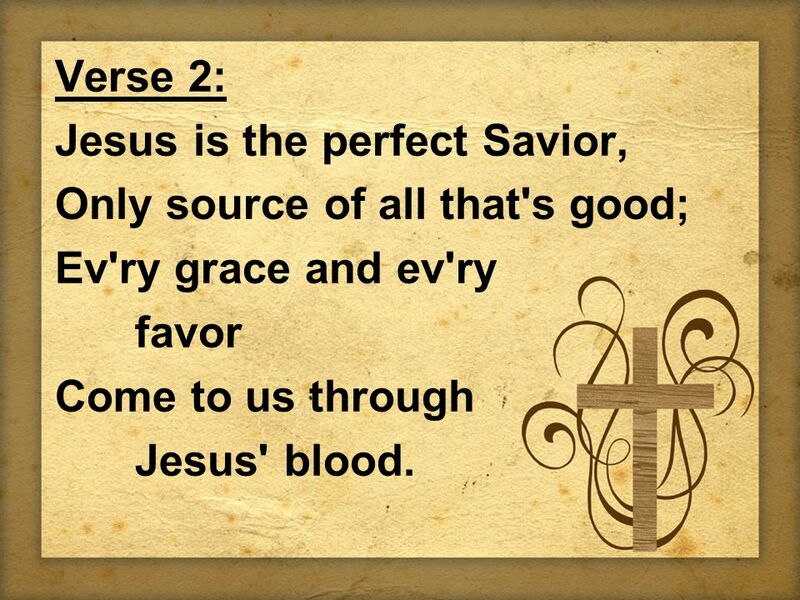 69 Verse 2: Jesus is the perfect Savior, Only source of all that's good; Ev'ry grace and ev'ry favor Come to us through Jesus' blood. 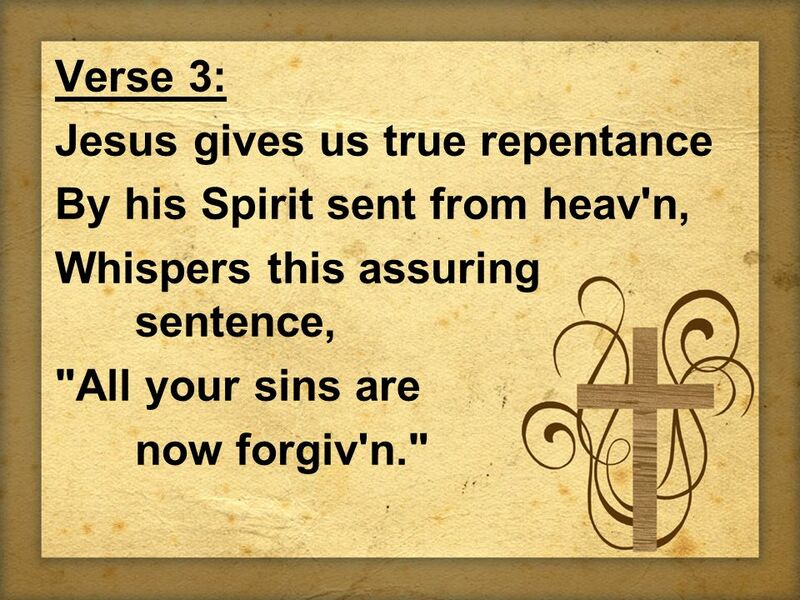 70 Verse 3: Jesus gives us true repentance By his Spirit sent from heav'n, Whispers this assuring sentence, "All your sins are now forgiv'n." 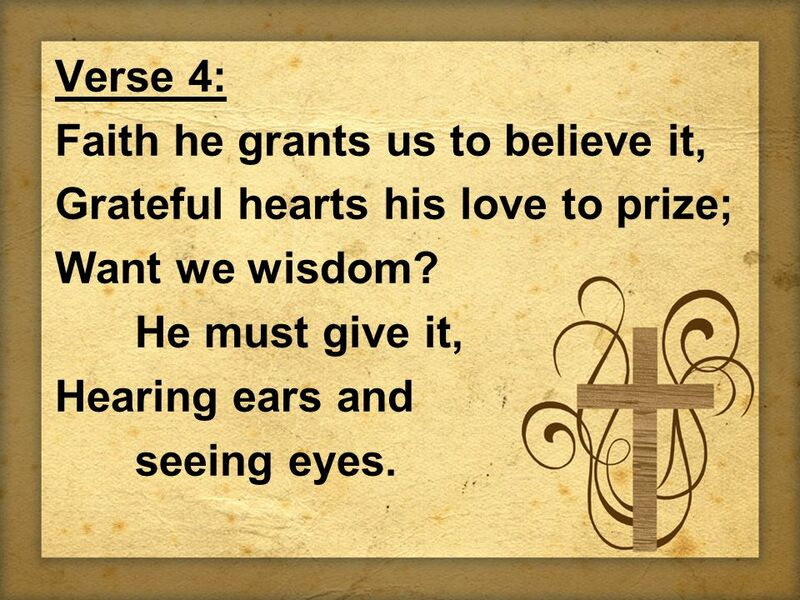 71 Verse 4: Faith he grants us to believe it, Grateful hearts his love to prize; Want we wisdom? He must give it, Hearing ears and seeing eyes. 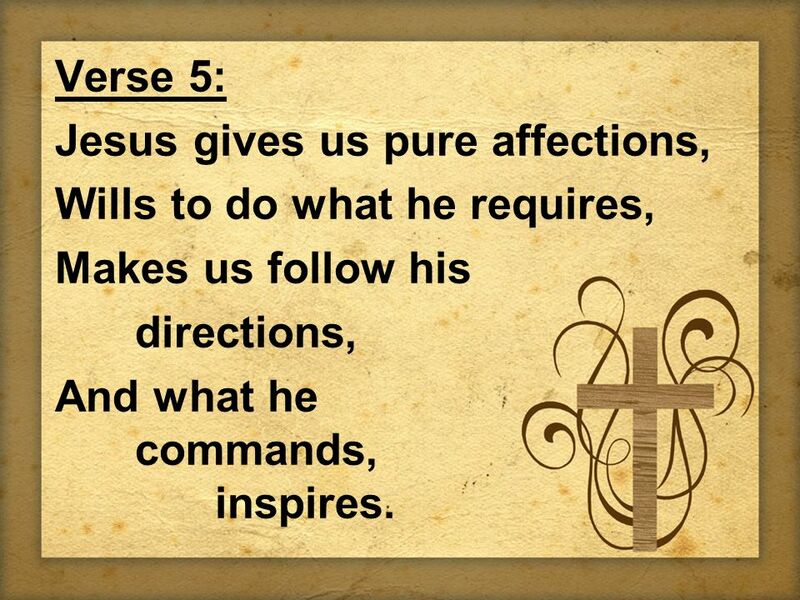 72 Verse 5: Jesus gives us pure affections, Wills to do what he requires, Makes us follow his directions, And what he commands, inspires. 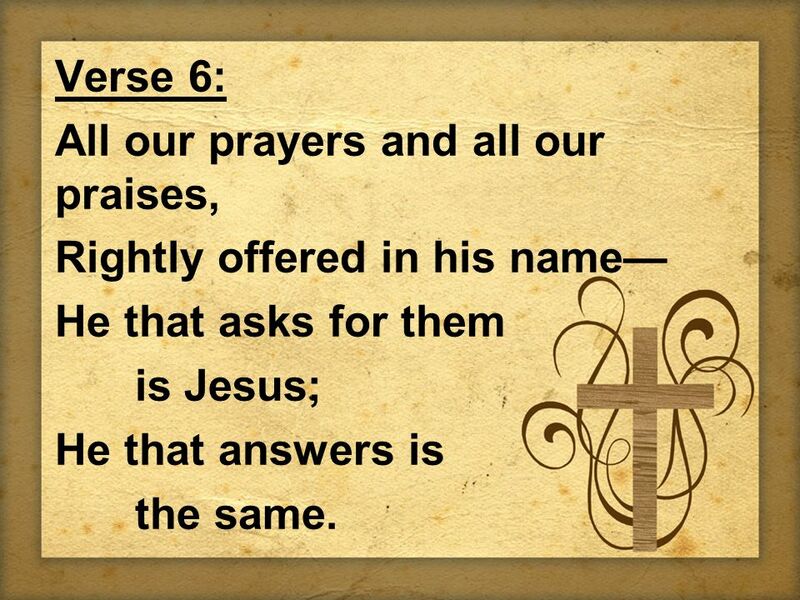 73 Verse 6: All our prayers and all our praises, Rightly offered in his name— He that asks for them is Jesus; He that answers is the same. 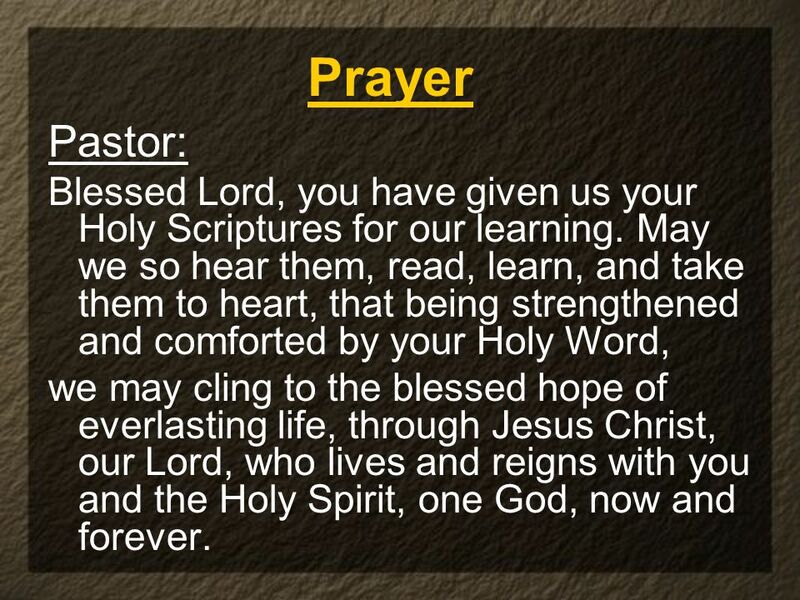 74 Prayer Pastor: Blessed Lord, you have given us your Holy Scriptures for our learning. 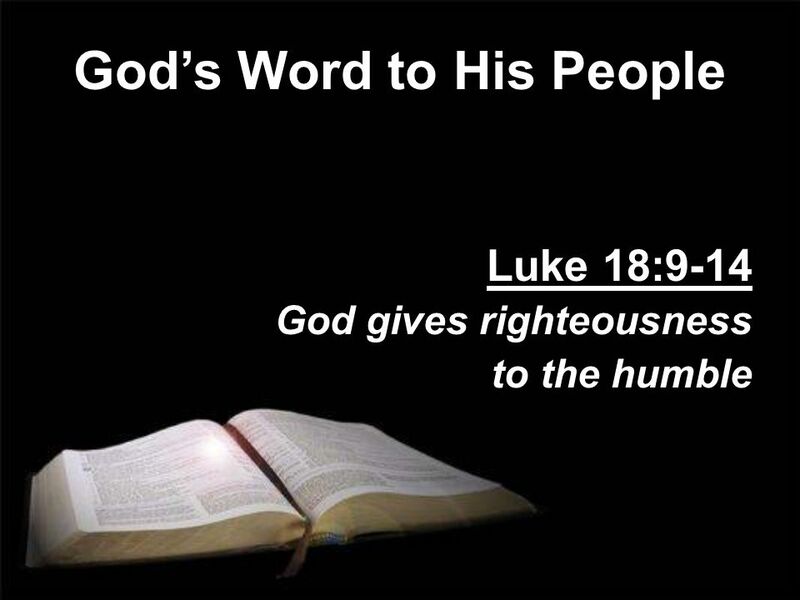 May we so hear them, read, learn, and take them to heart, that being strengthened and comforted by your Holy Word, we may cling to the blessed hope of everlasting life, through Jesus Christ, our Lord, who lives and reigns with you and the Holy Spirit, one God, now and forever. 75 The Blessing you and be gracious to you. 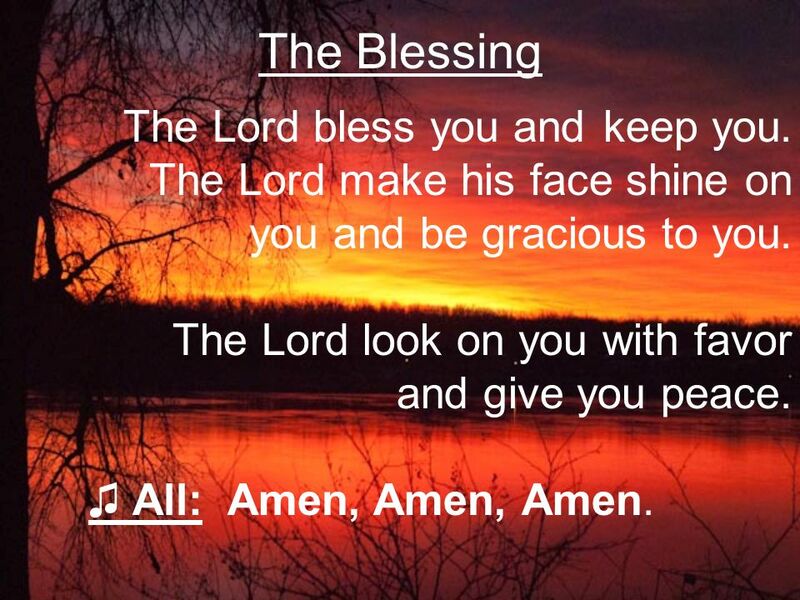 The Lord bless you and keep you. The Lord make his face shine on you and be gracious to you. The Lord look on you with favor and give you peace. 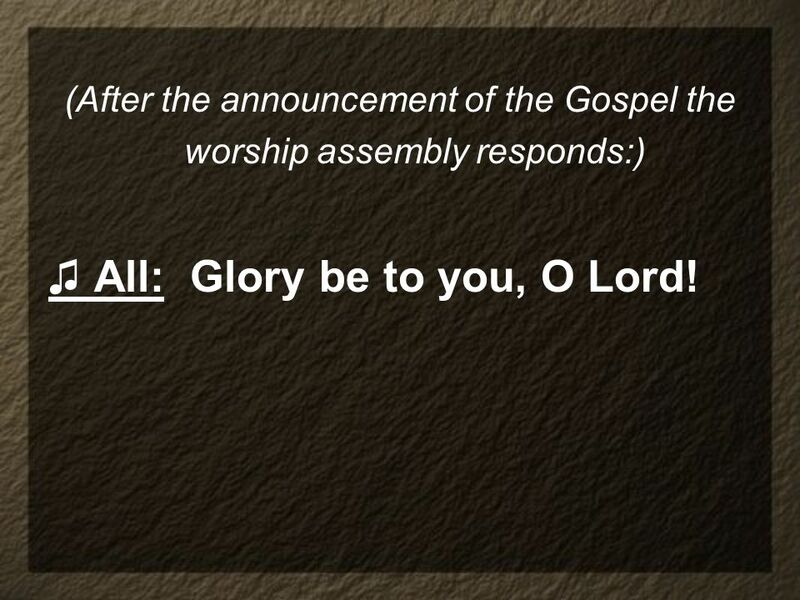 ♫ All: Amen, Amen, Amen. Text: Jaroslav J. Vajda, b. 1919 Setting: AR HYD Y NOS Tune: Welsh melody, 18th cent. 78 Verse 2: Go, my children, sins forgiven, At peace and pure. Here you learned how much I love you What I can cure. Here you heard my dear Son’s story; Here you touched him, saw his glory. 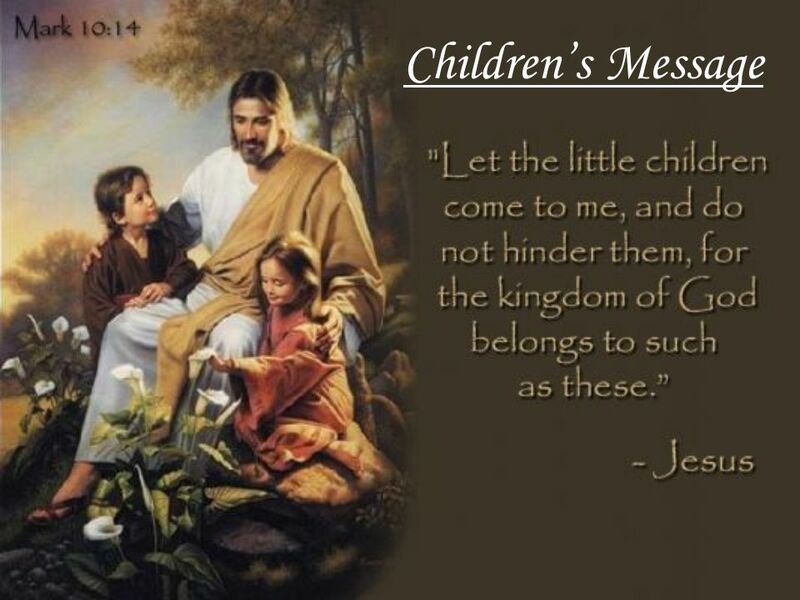 79 Verse 3: Go, my children, fed and nourished, Closer to me; Grow in love and love by serving, Joyful and free. Here my Spirit's power filled you; Here his tender comfort stilled you. 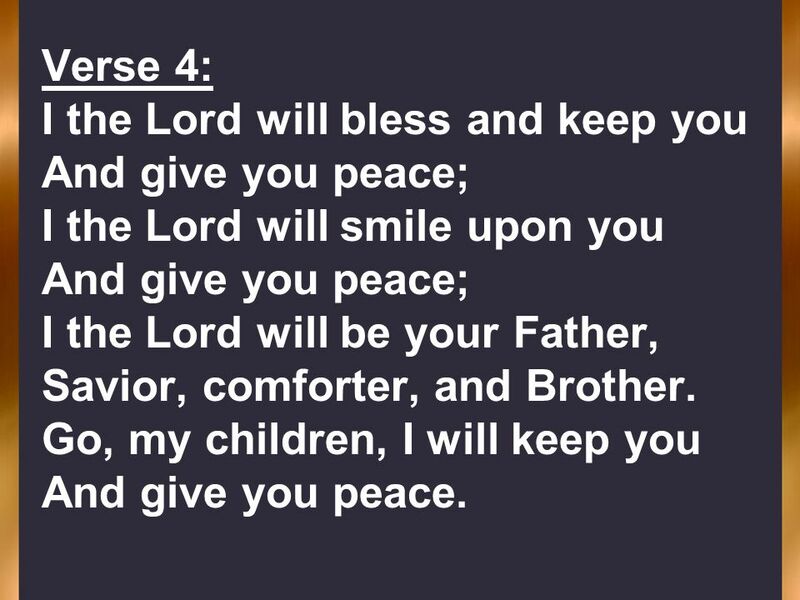 80 Verse 4: I the Lord will bless and keep you And give you peace; I the Lord will smile upon you I the Lord will be your Father, Savior, comforter, and Brother. Go, my children, I will keep you And give you peace. Download ppt "Redeemer Lutheran Church"
Order of Mass Excerpts from the English translation of The Roman Missal © 2010, International Committee on English in the Liturgy, Inc. All rights reserved. 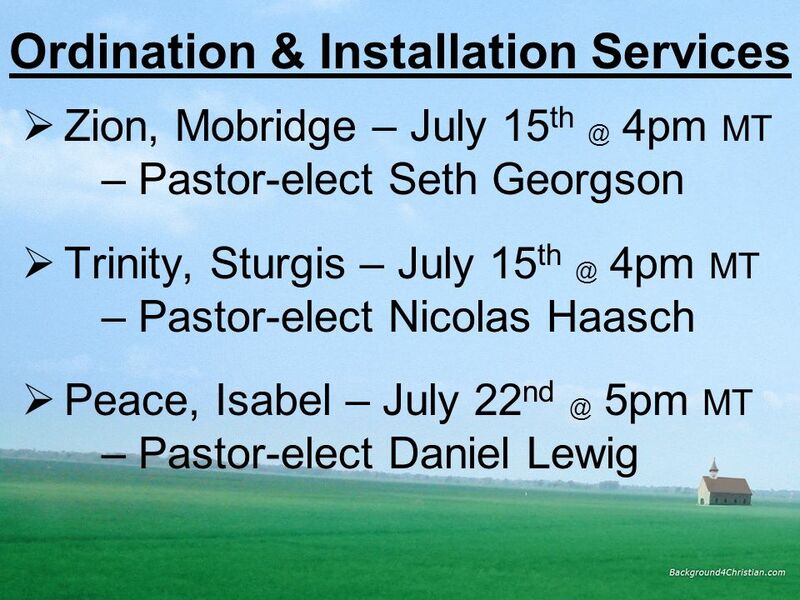 Invocation sung P: In the name of the Father and of the Son and of the Holy Spirit. C: Amen. Hymn. The Order of the Mass START. Palm Sunday Redeemer Lutheran Church Sunday, April 17 th. 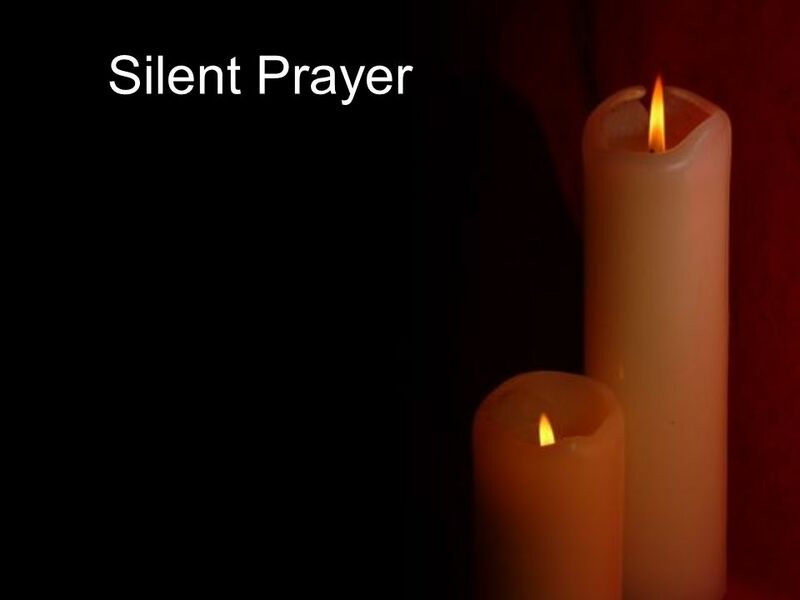 Advent Mass Template Please note, your school masses may not need to have all of these slides. Please add or delete as necessary. Advent Wreath. 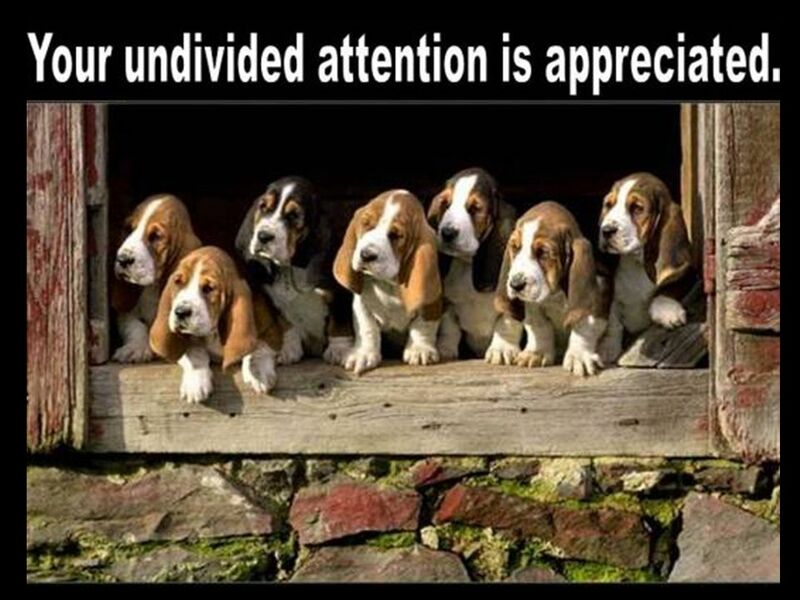 This is the Master Slide Show Before you begin your slide show, save this under a new name. Then you don’t mess up the master. Add or delete slides as. Advent 3. GOD WELCOMES US The eyes of the blind shall be opened, and the ears of the deaf unstopped; the lame shall leap like a deer, and the tongue of. 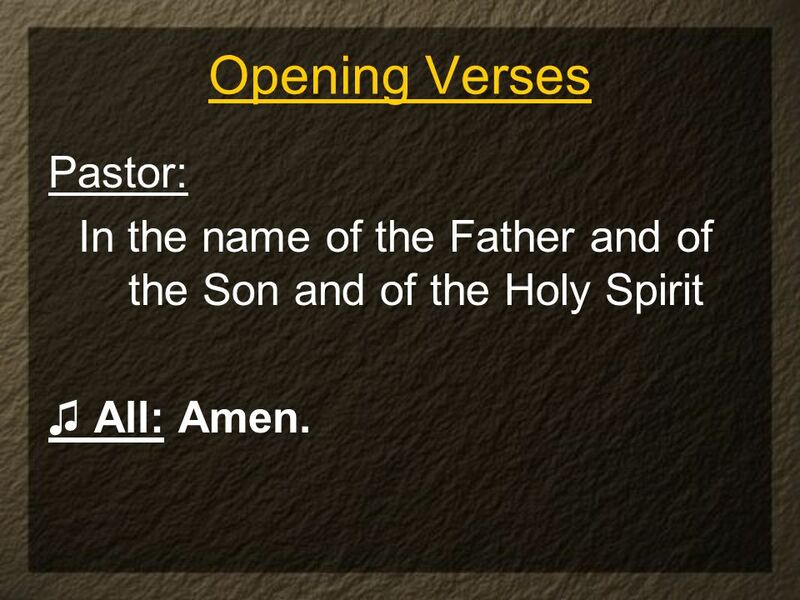 Priest: In the name of the Father, and of the Son, and of the Holy Spirit. 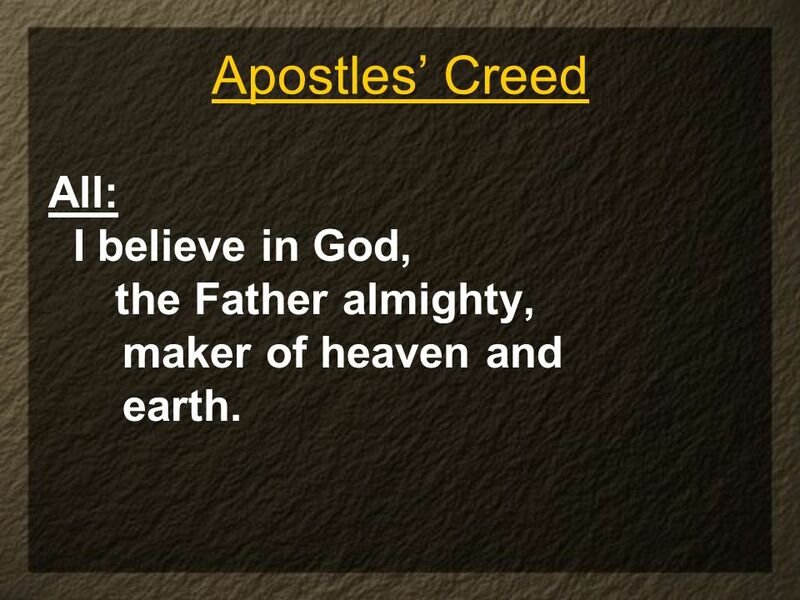 All: Amen Priest: The grace of our Lord Jesus Christ and the love of God and. Service without communion. 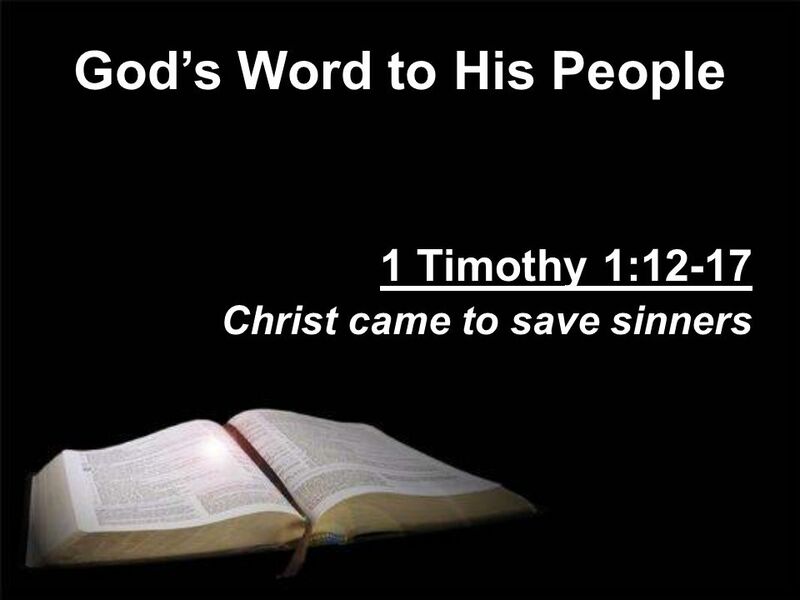 2 PREPARATION IN THE NAME In the name of the Father and of the Son † and of the Holy Spirit. Amen.